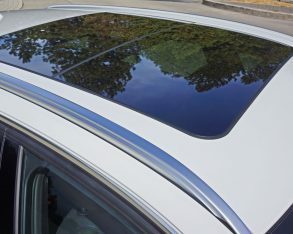 Viennese father or possibly the fact that much of my formative years were spent in the back of a 1960 Pontiac Safari “Strato Chief” wagon that my dad personally spray painted avocado green, a car that for some misguided concept of awesomeness I thought was cool (at the time totally unaware that he’d traded in a ’56 Chevy Belair to get it), but for some deep-rooted emotionally disfigured reason I have a penchant for station wagons. 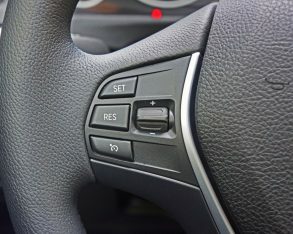 It’s just the way my brain works (or doesn’t). 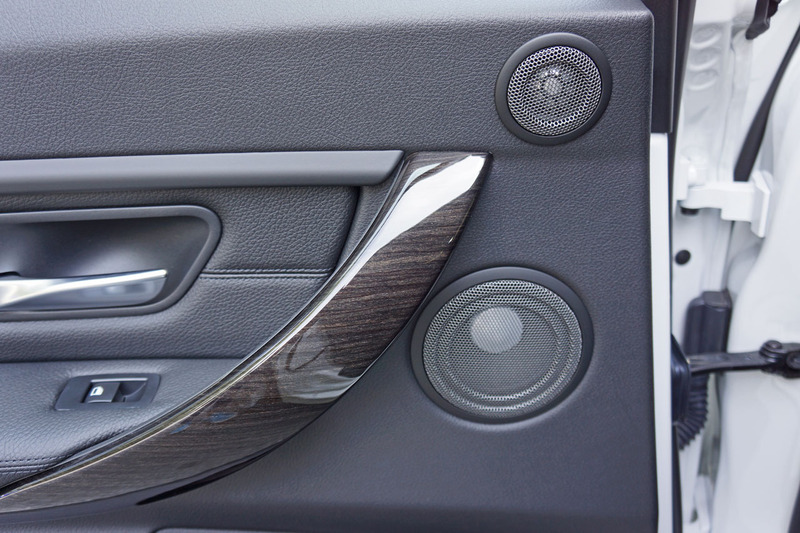 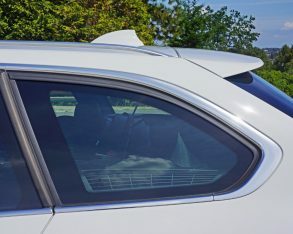 Maybe it was too many loud buzzing mono-speaker AM radio moments of “Hey there Georgy girl…” being thrummed into my basal ganglia, but I’m forever a fan of elongated five-door estates. 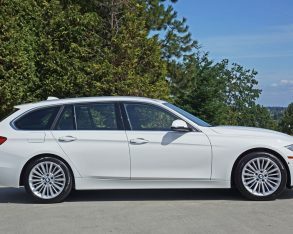 of the premium pack giving them catchy marketing monikers like Avant, Allroad, Estate, Shooting Brake, Gran Turismo (ok, while categorized under station wagons by Wikipedia-the end all to be all in factoidal information-it’s more of an elongated five-door hatchback with awe-inspiring roominess and versatility) and yes, Touring. 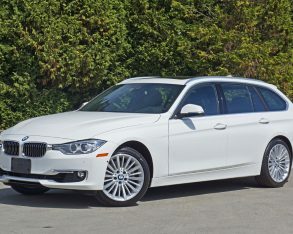 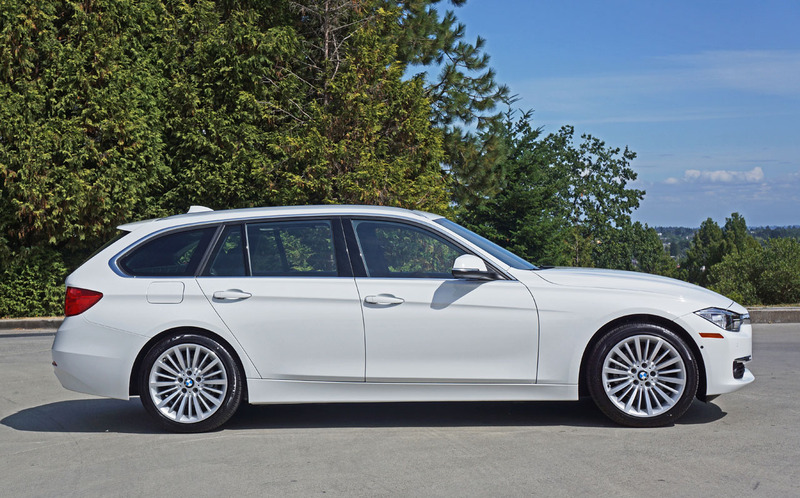 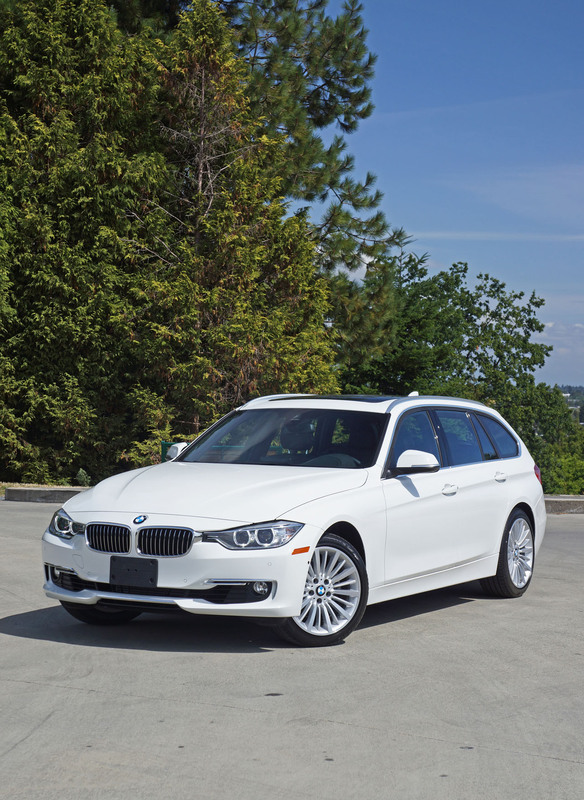 To BMW’s credit, Touring has been its wagon designation since the brand introduced its E30 3 Series wagon in 1986.
light, the 3 Series Touring soon adding a fourth body style to BMW’s most popular model range. 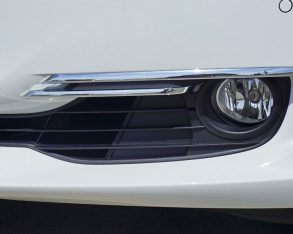 too low. 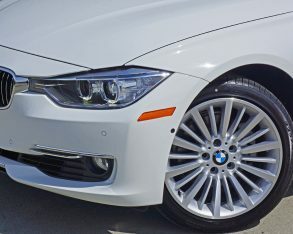 Then again, if Canadian 3 Series Touring sales were only two-percent of total 3 Series deliveries it would be a bigger seller than the Z4, and that lovely little roadster appears to be secure for the time being. 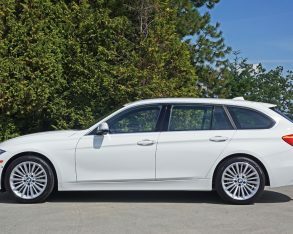 While the sales numbers of all wagons might be lower than four-door sedans I’m glad not to completely alone in my love of this ultimately practical body style, as there are plenty of stylish estate drivers on my city’s roads, some even wacky enough to personalize them with unique rims and rubber, lowered suspensions, and yes, performance tuning. 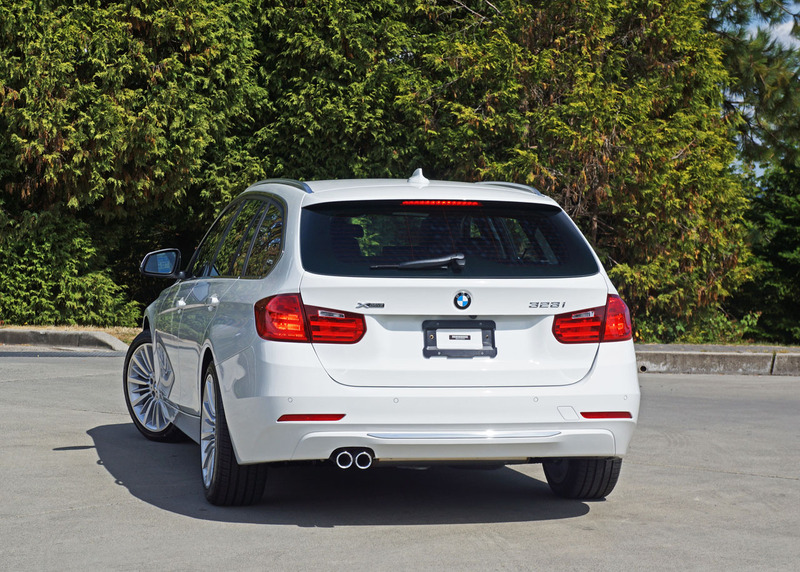 Isn’t it nice that some manufacturers not only continue to produce our beloved wagons, but do the custom tuning from the factory? 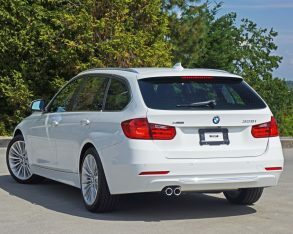 an M-tuned Touring model seems like the ultimate family hauler, a much-rumoured M variant of the current F31 Touring was recently ruled out by Carsten Pries, the development chief of BMW’s M division, as it likely wouldn’t sell well enough globally to justify its creation. 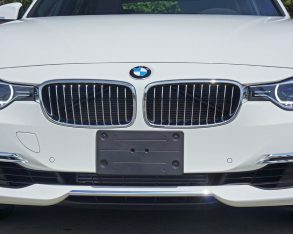 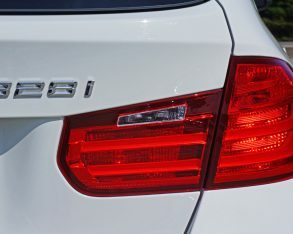 It would have been odd to see this car materialize after an M version the brand’s much sportier 4 Series Gran Coupe was nixed for the same reason, so I for one wasn’t surprised to hear the news, but then again even this 328i xDrive Touring is tuned for performance. 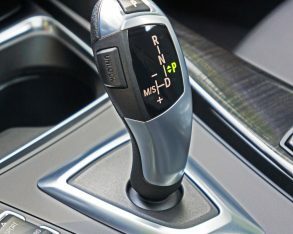 to the fact that it can be driven more safely than the majority of other cars at much higher than posted speeds. 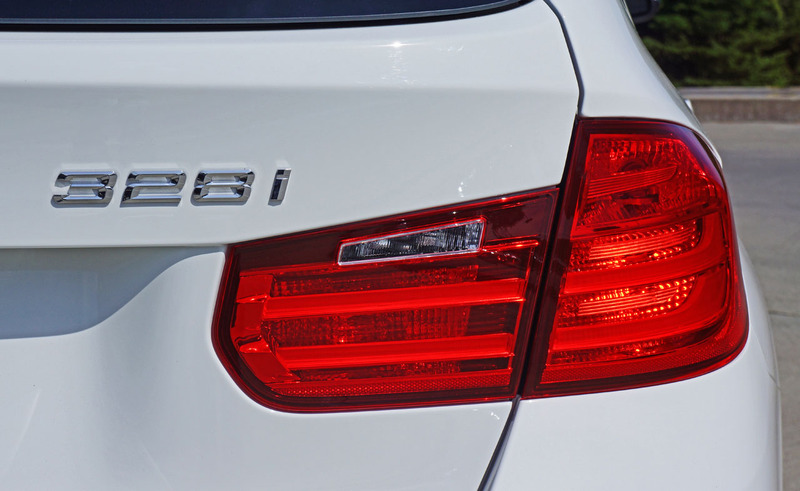 That’s one of the key reasons we’re willing to pay the price of entry. 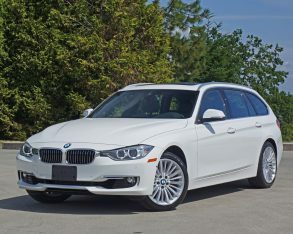 buyers, these being practical folk who enjoy saving money, especially during family road trips like Herr Reisböck’s vacation where the diesel’s otherworldly highway fuel economy will make them glad they paid the extra $1,500, but for urban dwellers who rarely hit the highway the 328i’s efficiency will be good enough. 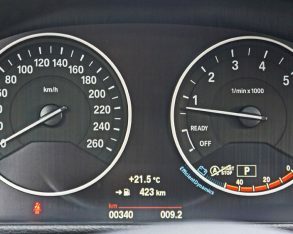 for those not hell bent on matching (original) M3 performance-the 328d xDrive Touring “sprints” to 100km/h in 8.0 seconds. 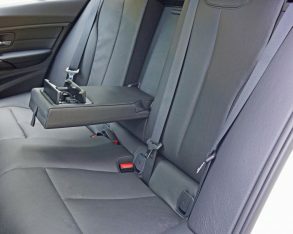 While my adrenal glands swell for the former, my desire to maintain a driver’s license while minimizing the cost and potential impoundment of crossing the aforementioned constabulary would keep me satisfied with the latter, as would its lower ongoing running costs. 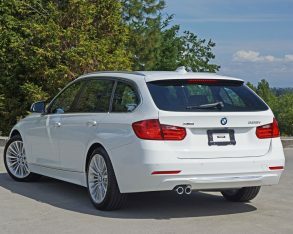 Either way, I’m head over heals for the 3 Series Touring. 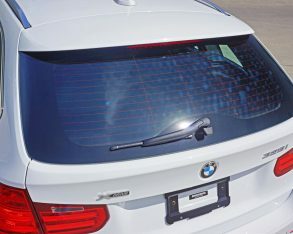 of all Touring models, making good use of the long rooftop, while a subtle spoiler caps off the rearmost top section. 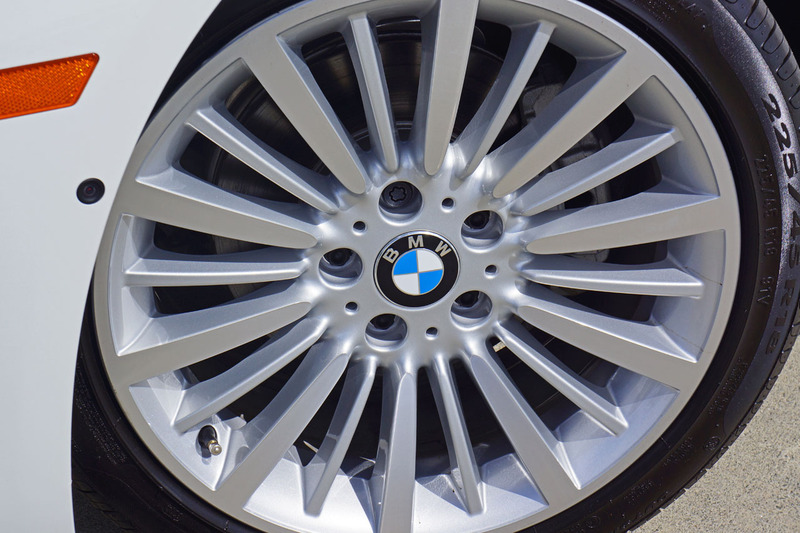 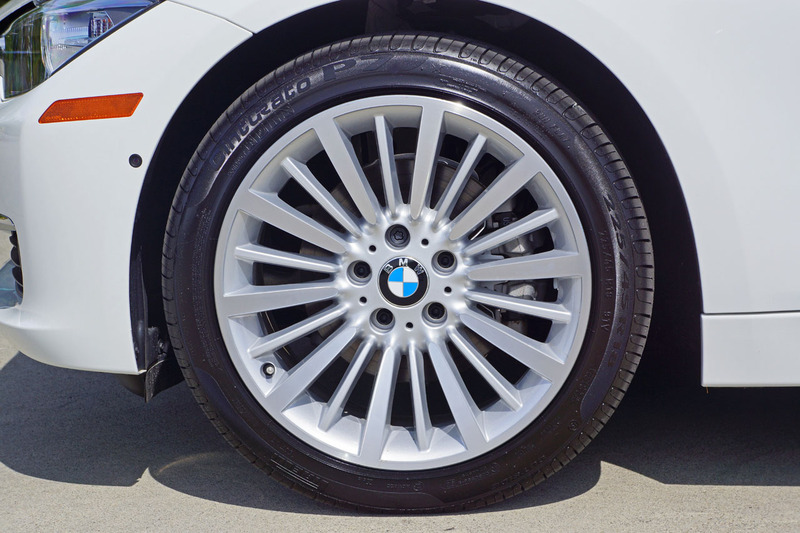 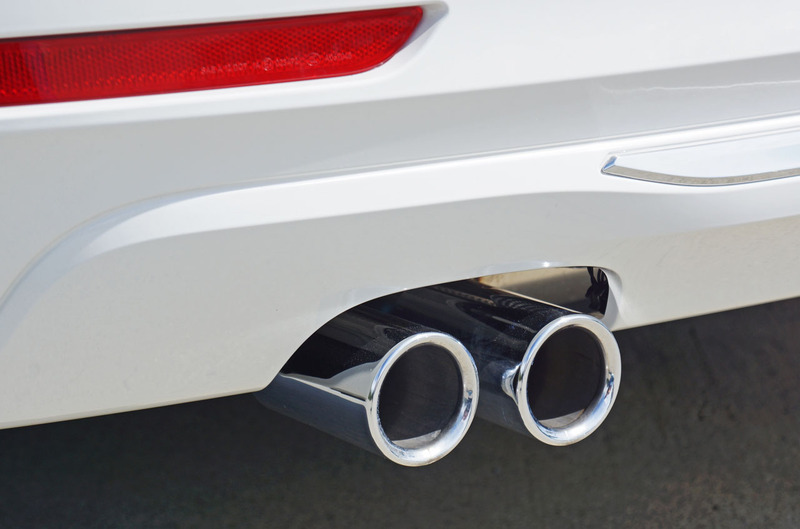 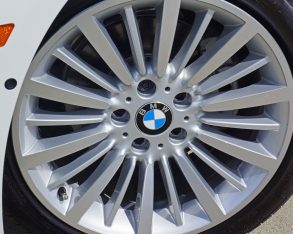 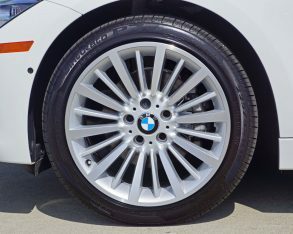 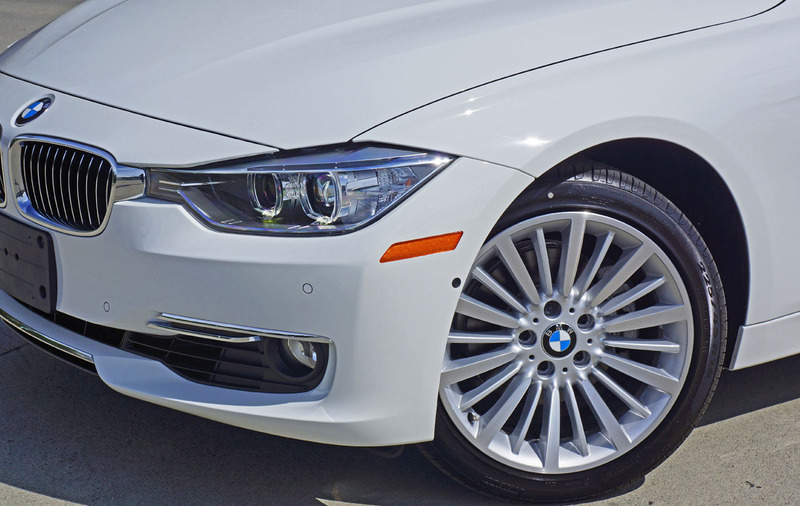 A lovely set of standard multi-spoke 18-inch alloys round out the design, their choice and the rest of the 328i Touring’s stylings making clear its appeal is towards those who seek understated elegance over overzealous aggressiveness. 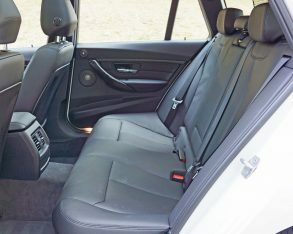 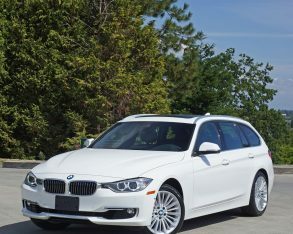 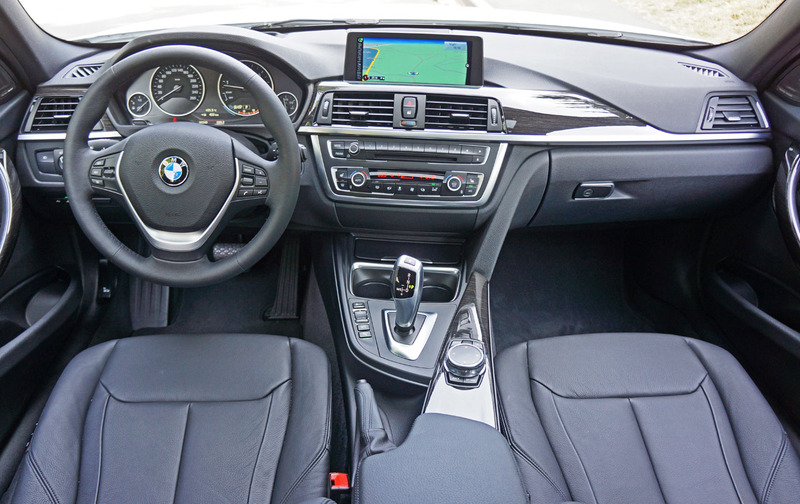 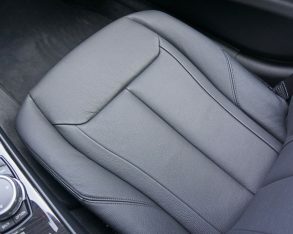 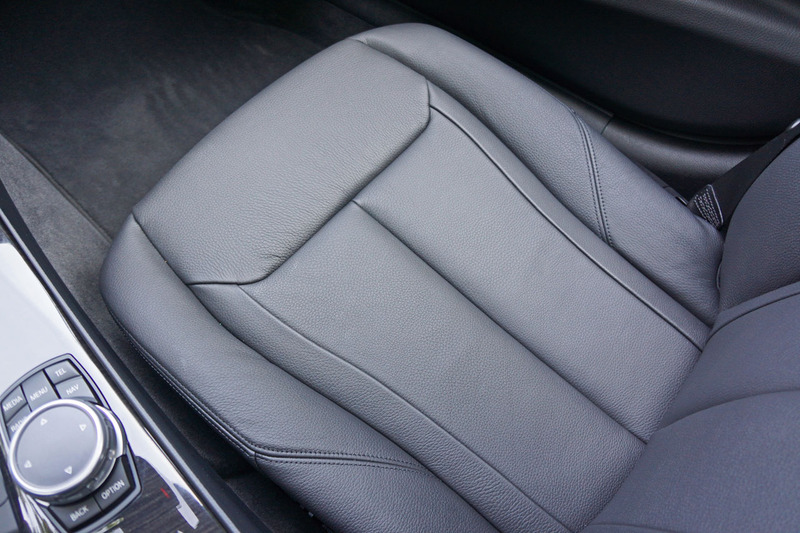 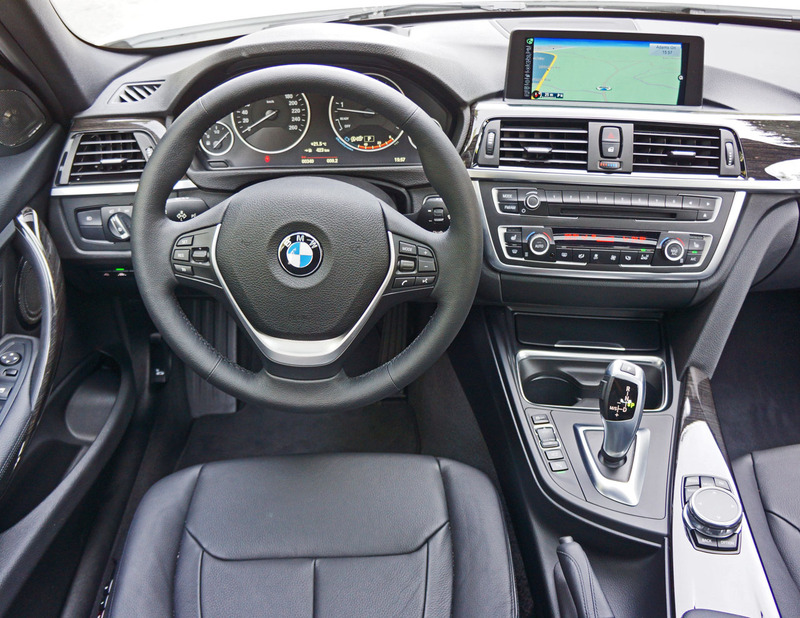 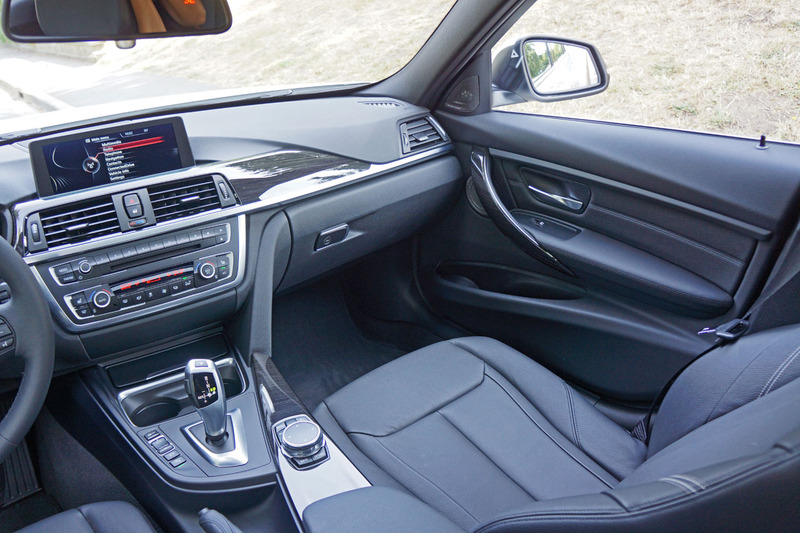 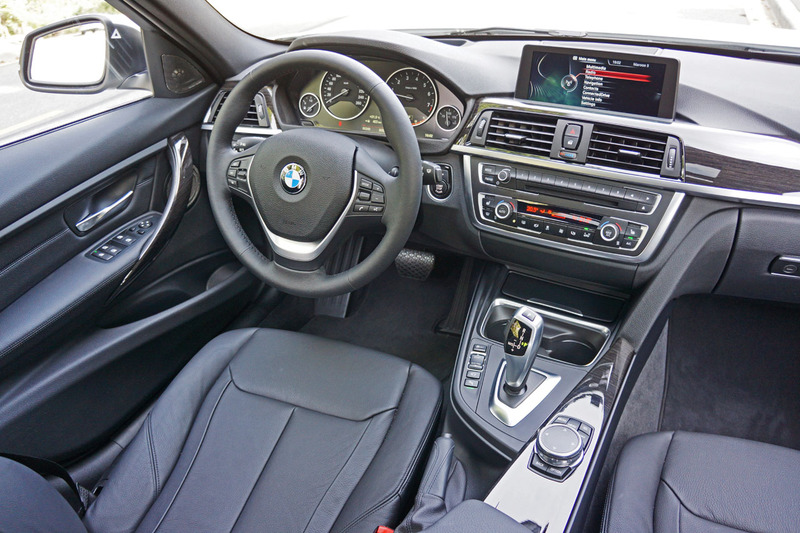 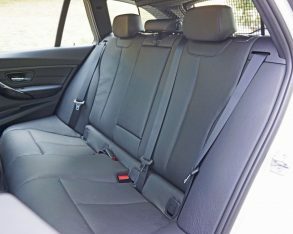 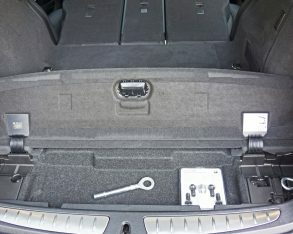 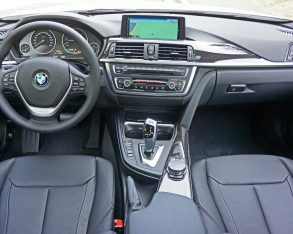 My Alpine White 328i xDrive Touring was filled out with an all-black interior, finished to segment’s highest standards. 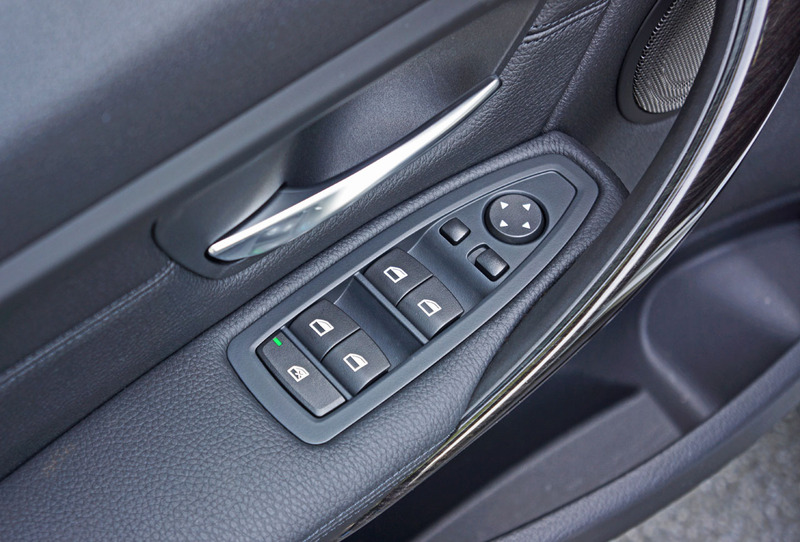 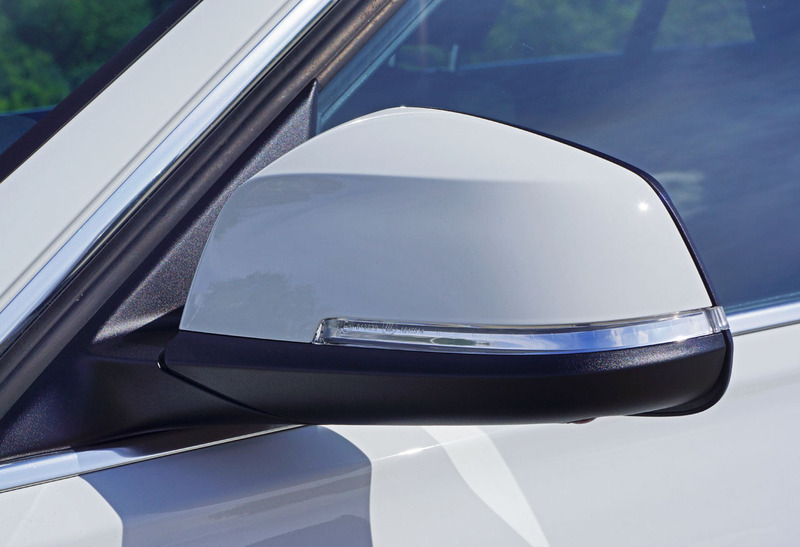 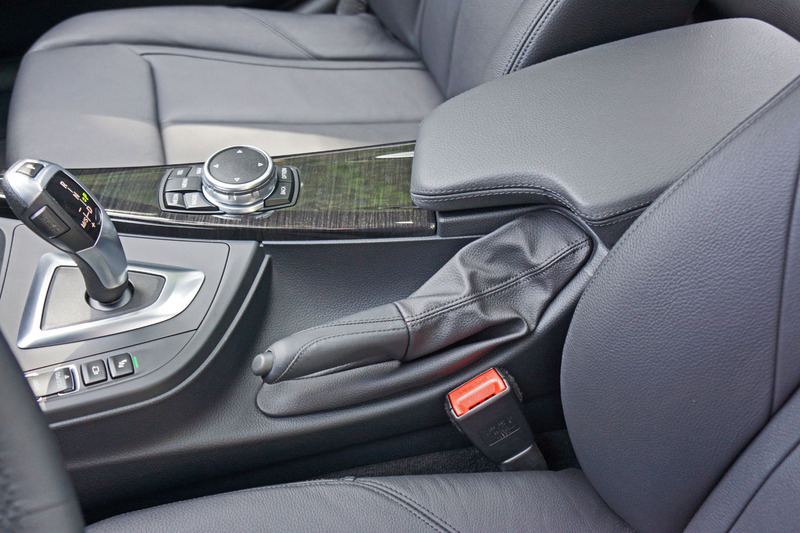 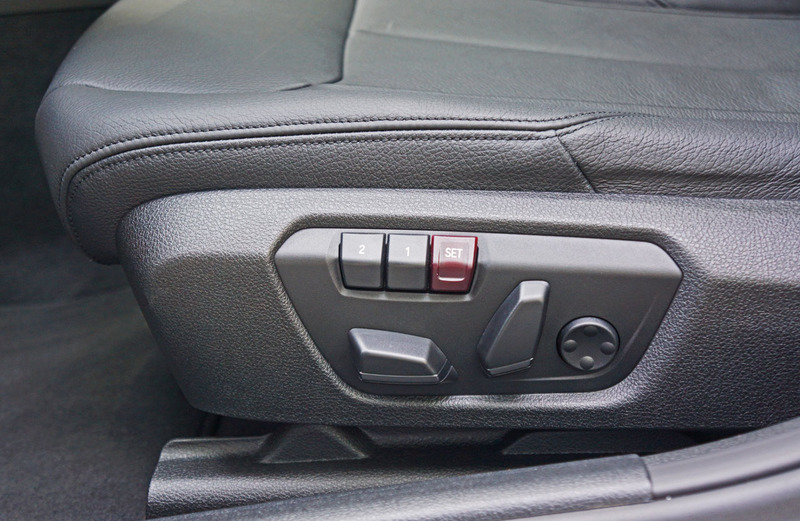 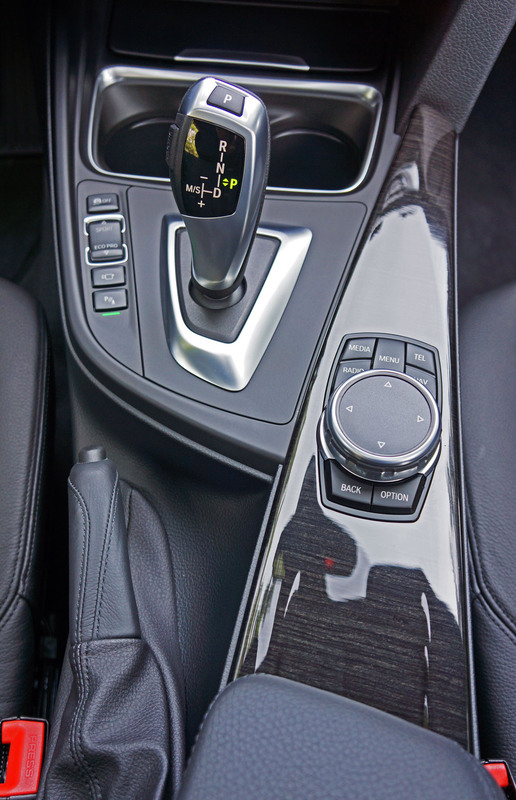 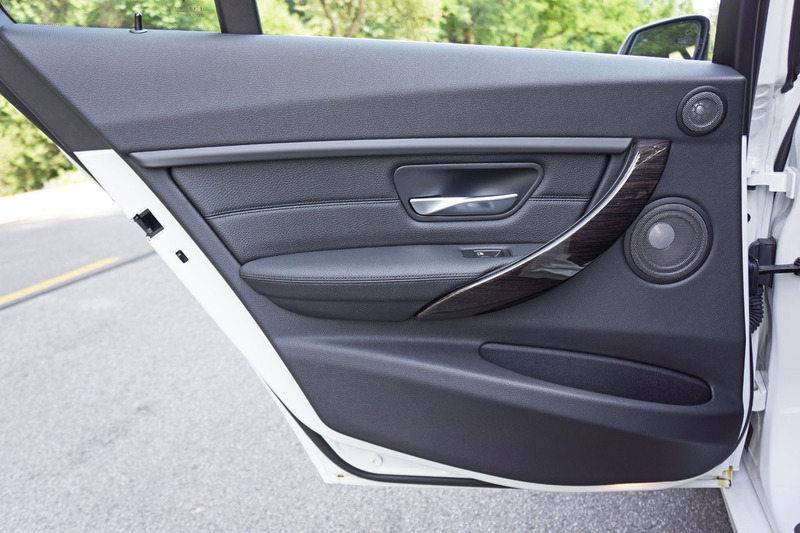 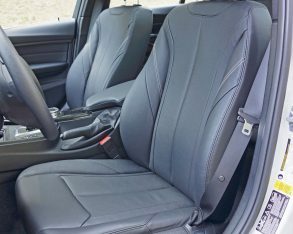 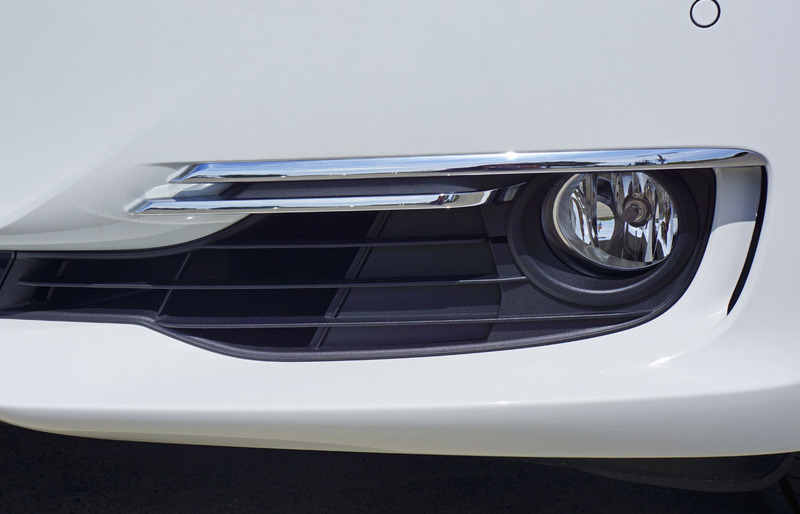 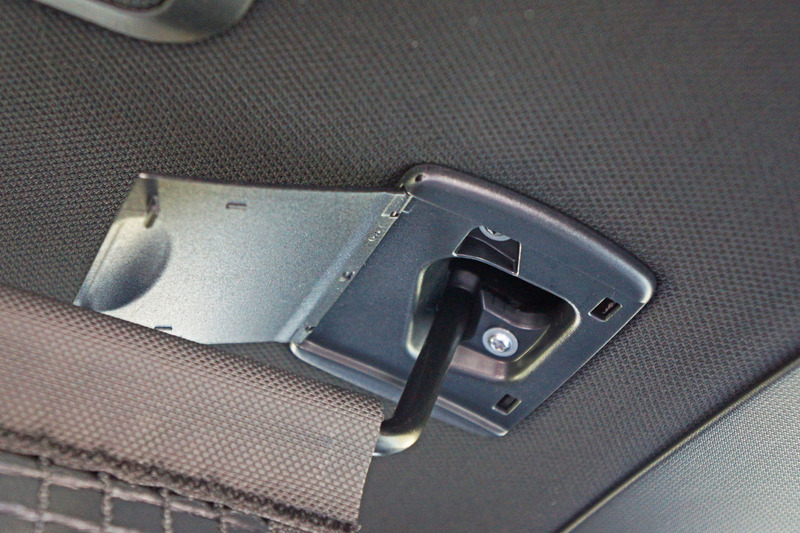 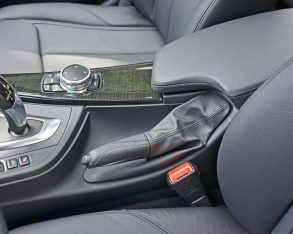 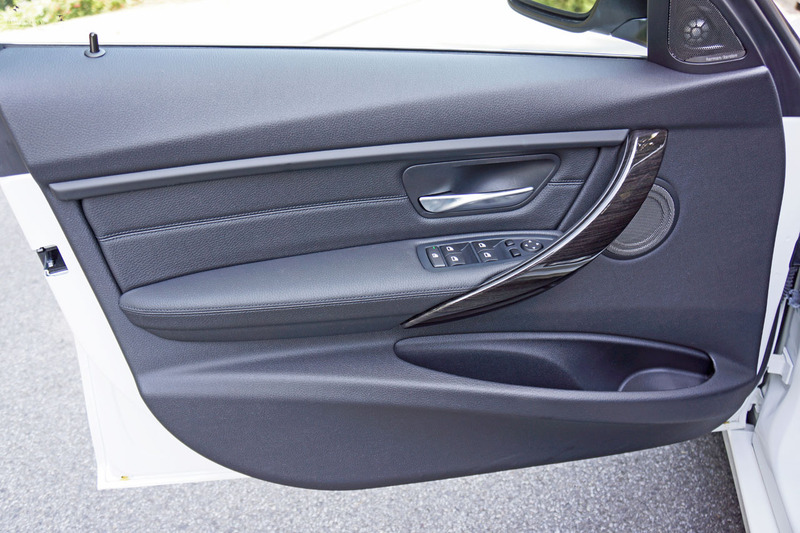 A soft synthetic dash top bends right down to the lower extremities of the instrument panel, only melding into the hard stuff below the knees where it hardly gets noticed, while the glove box lid and every inch of each door panel are soft and pliable. 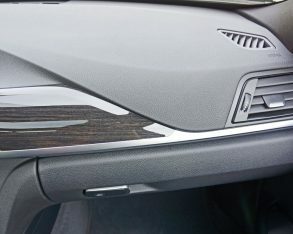 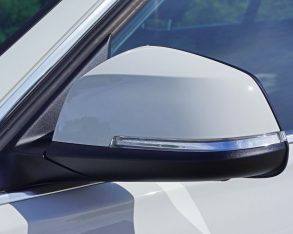 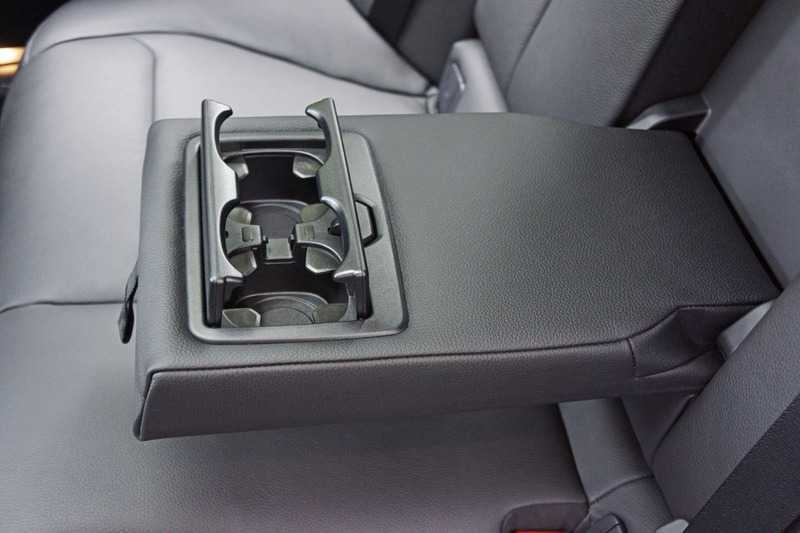 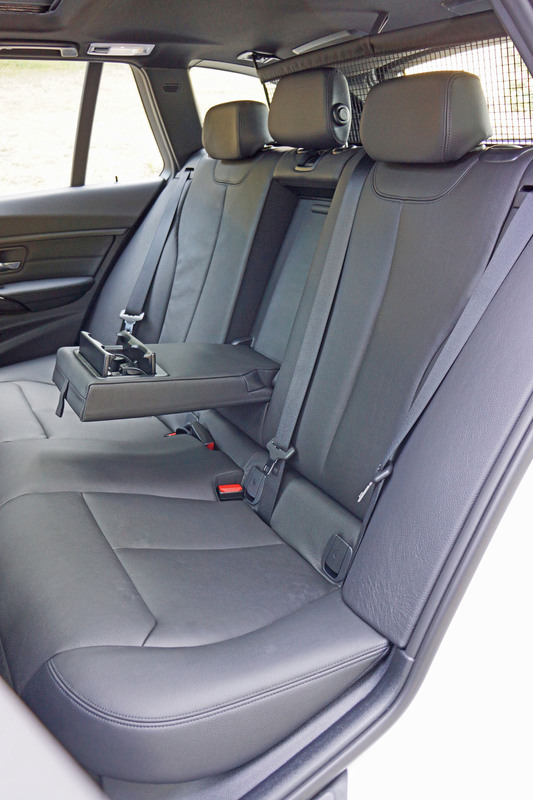 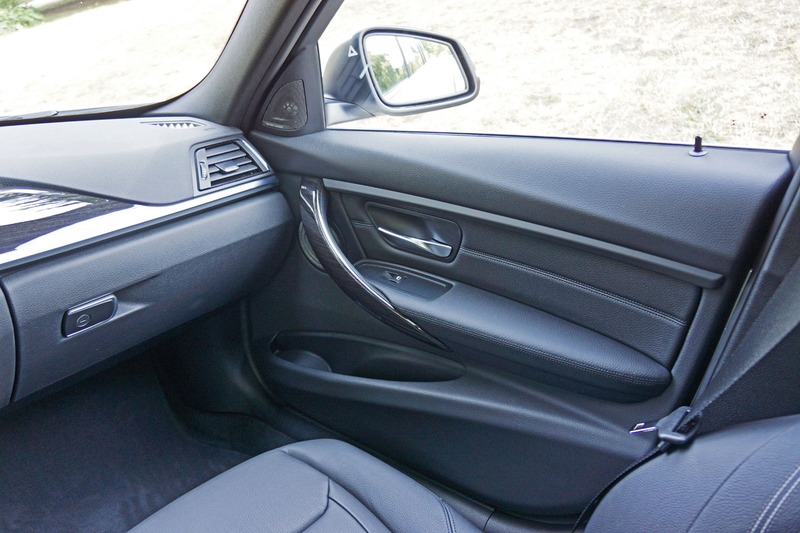 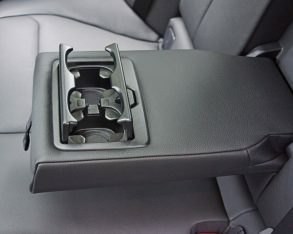 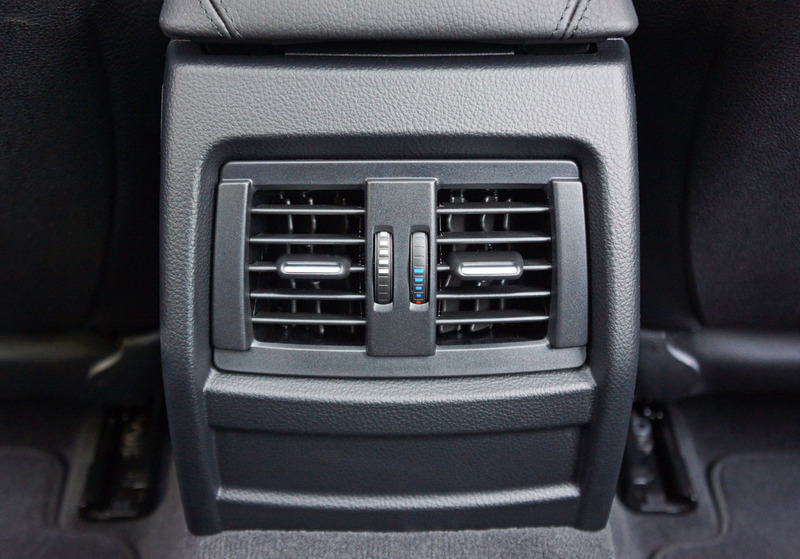 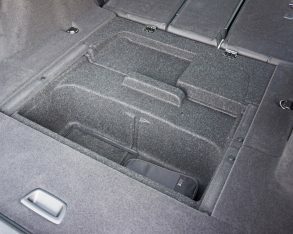 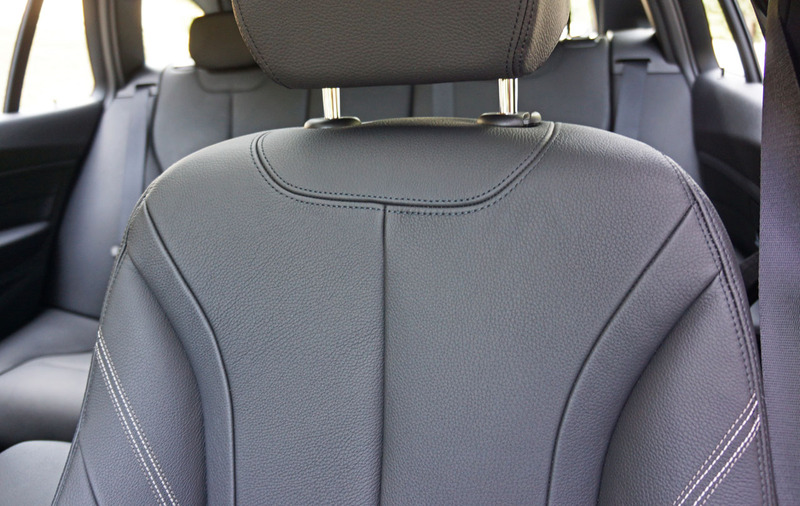 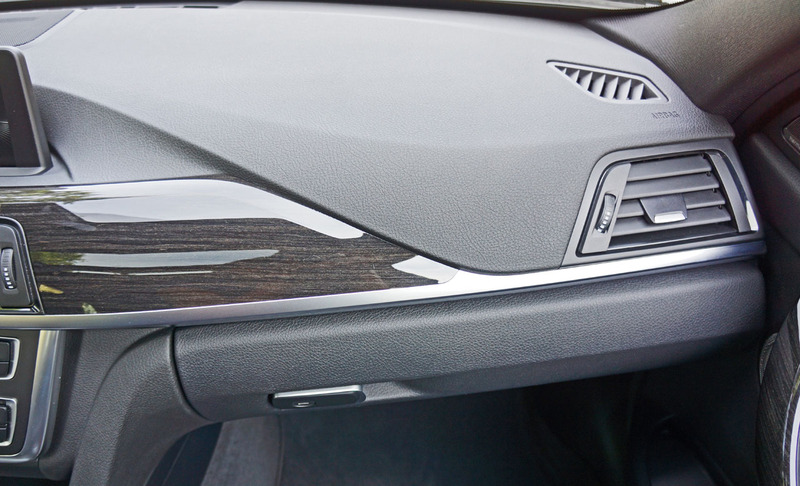 There are some hard plastics on the sides of the lower console and lower B-pillars, but this said you won’t find as much high-quality plastic in any competitor’s cabin. 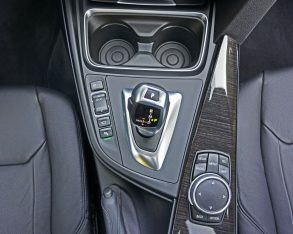 more, gorgeous Burl Walnut hardwood trim was chosen to enhance my test car’s interior, joined by attractive aluminum accents throughout, while BMW’s switchgear is easily best of the best in the compact to mid-size premium sector, its buttons and knobs made from high-grade solid-feeling plastics and metals, tightly fit together and well damped. 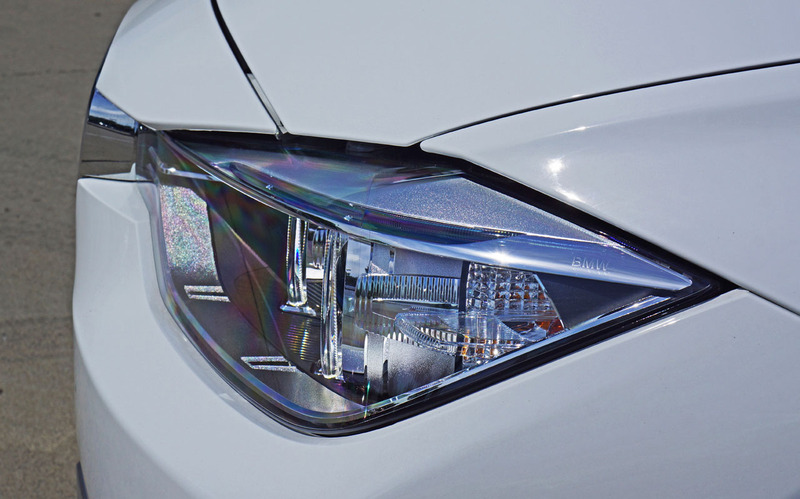 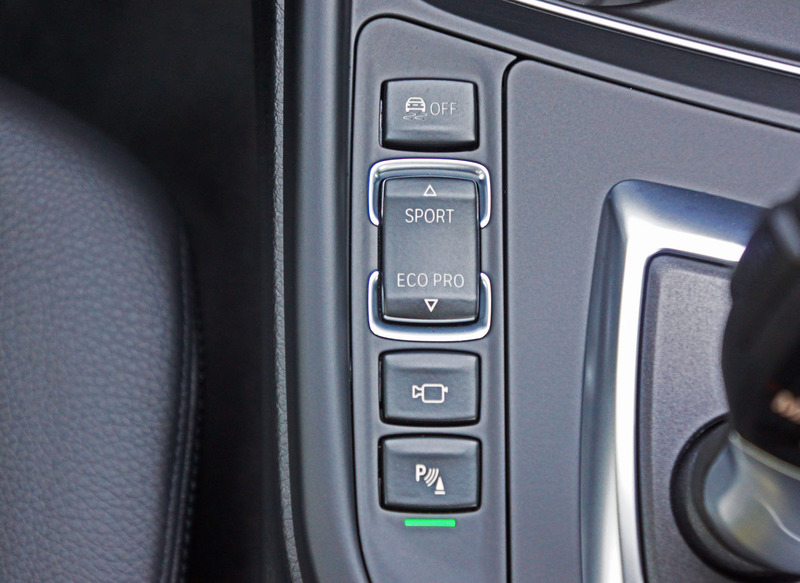 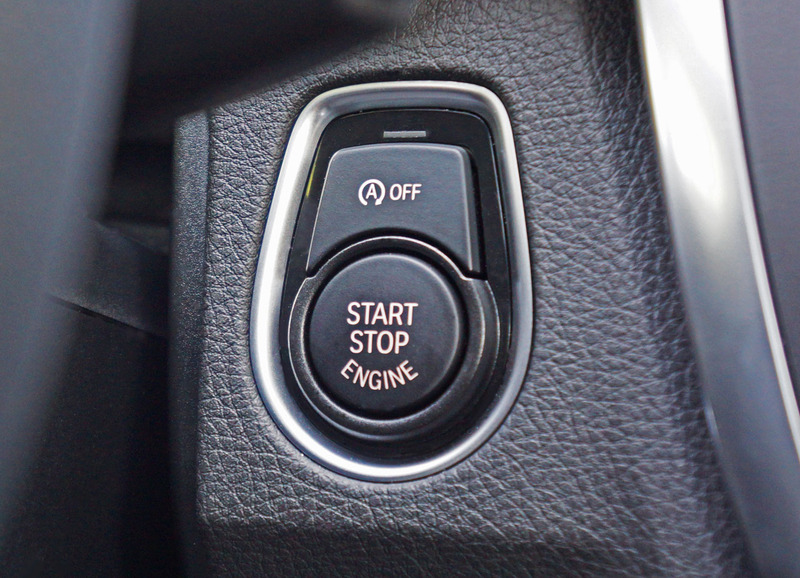 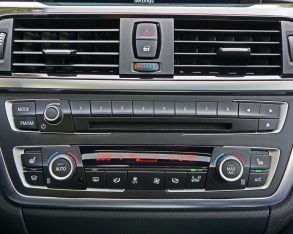 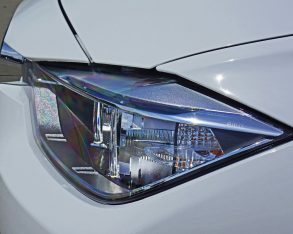 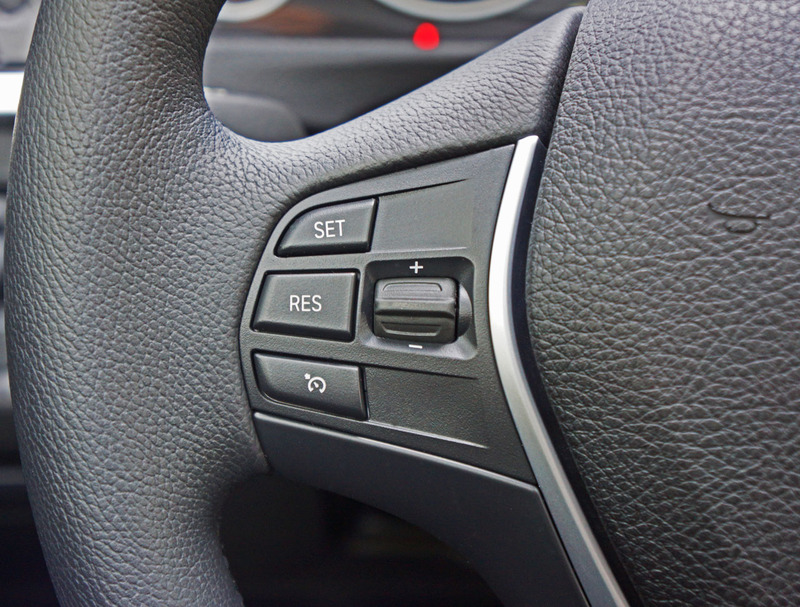 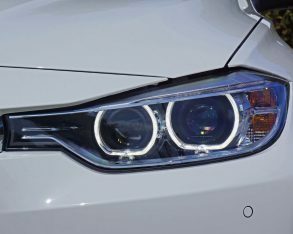 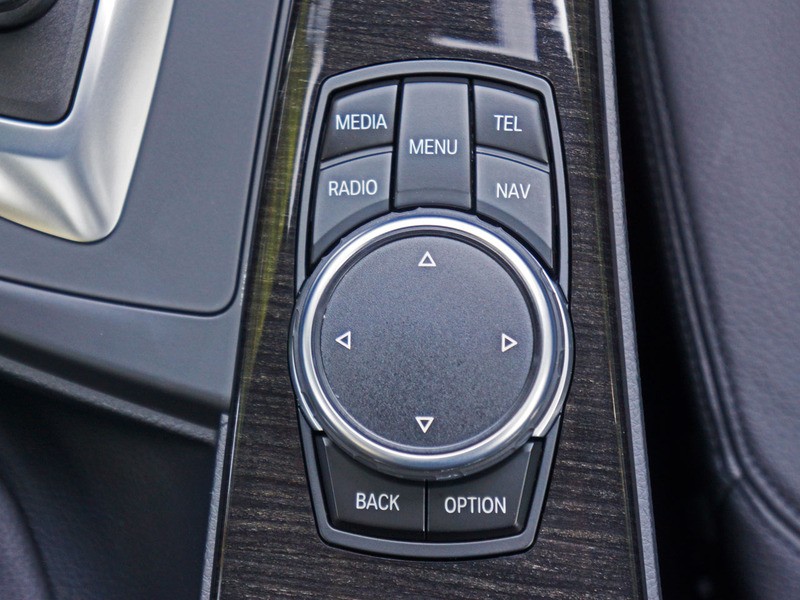 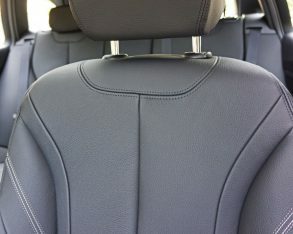 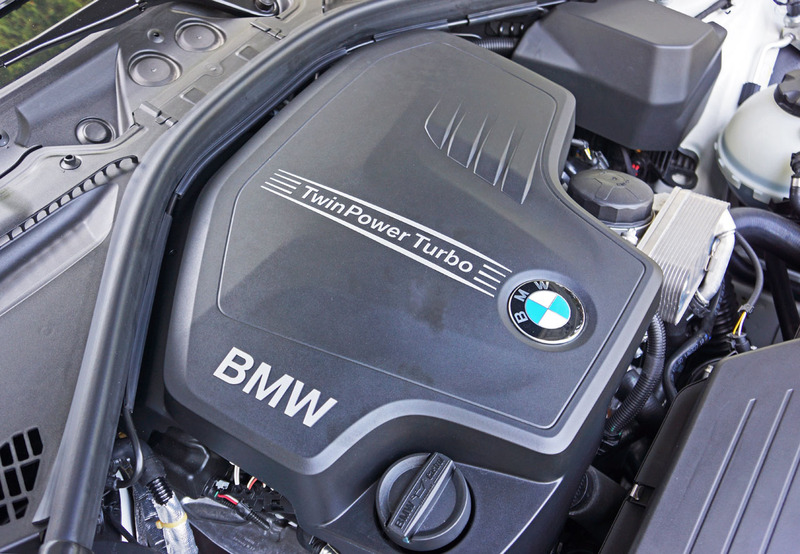 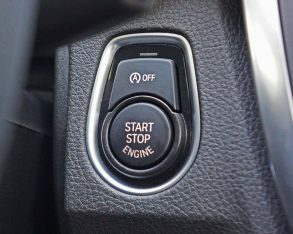 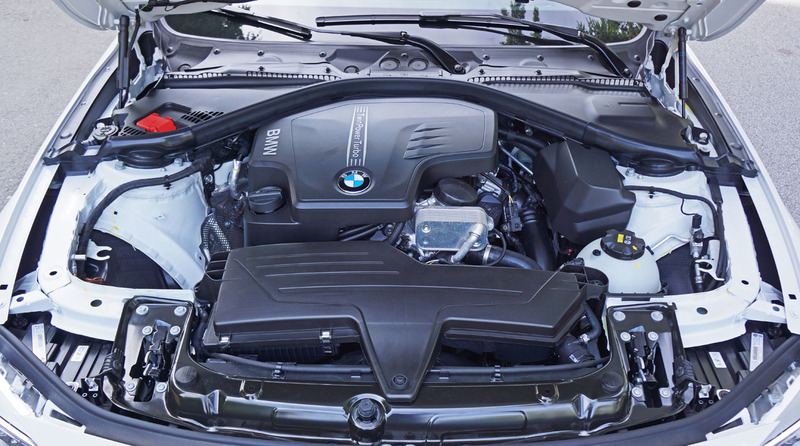 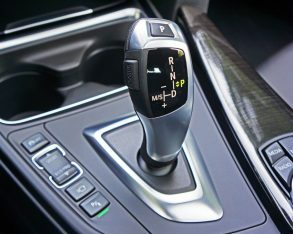 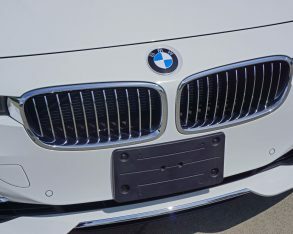 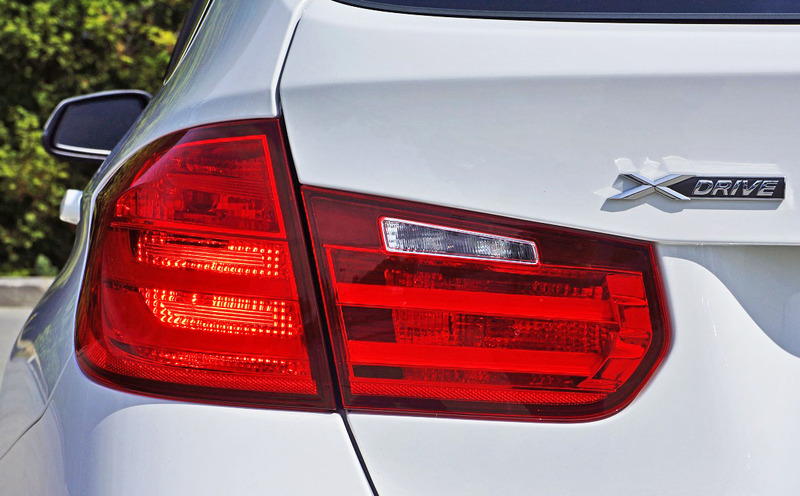 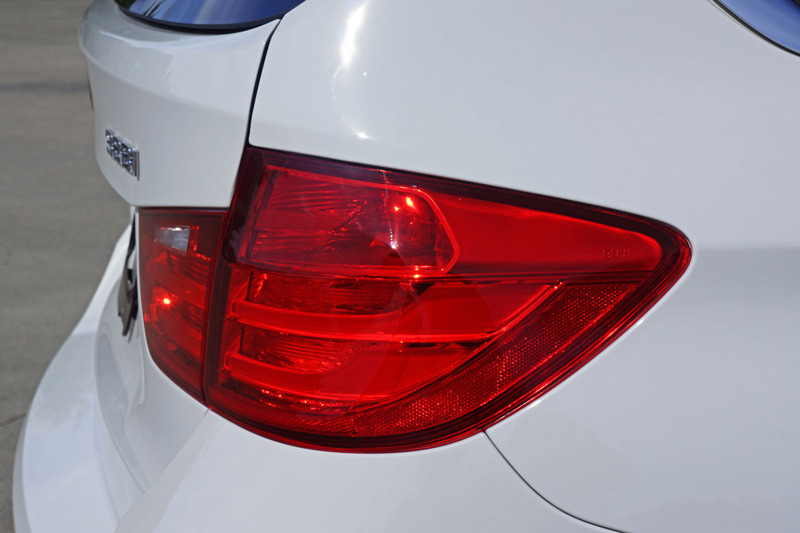 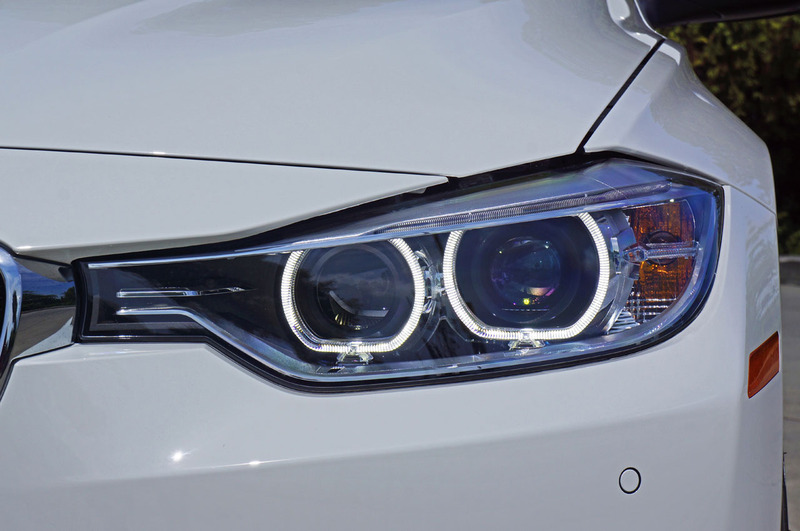 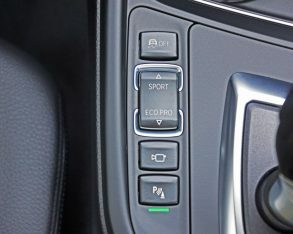 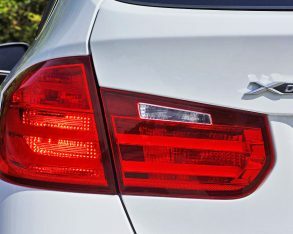 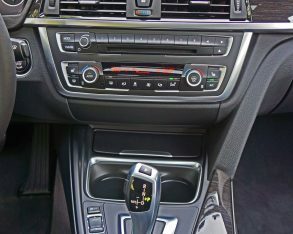 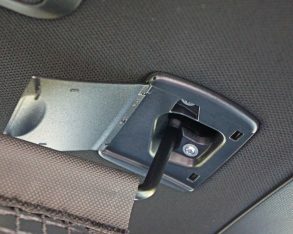 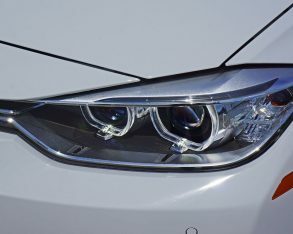 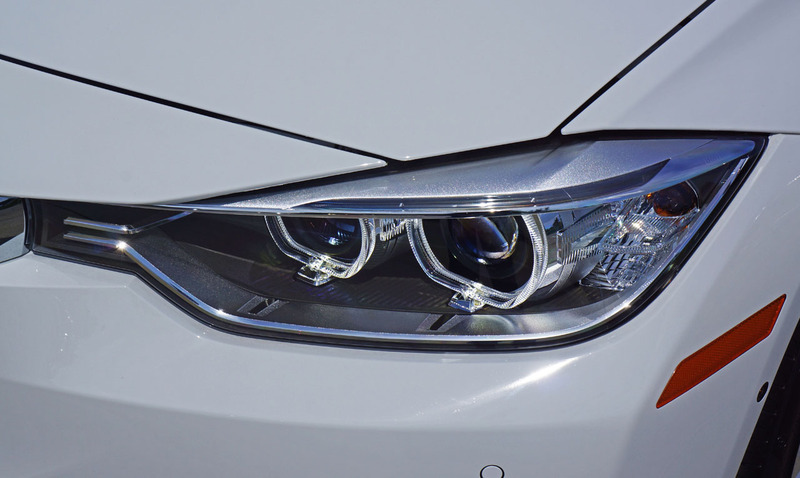 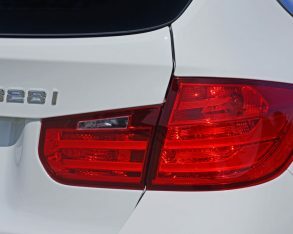 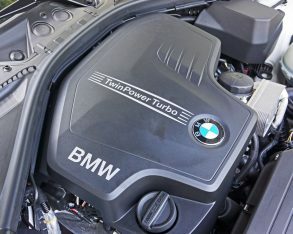 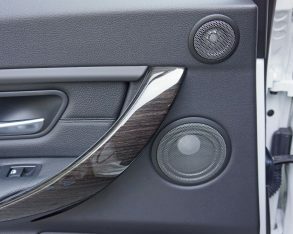 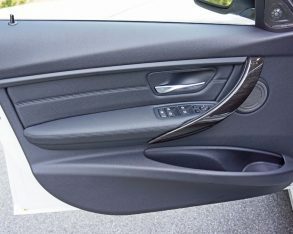 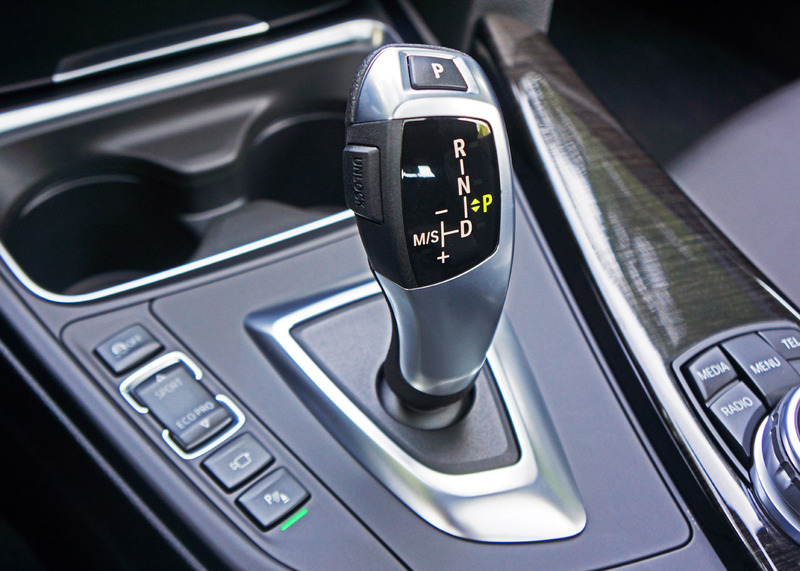 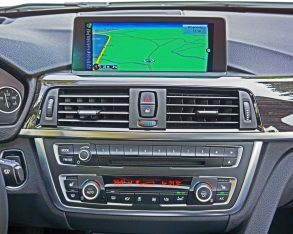 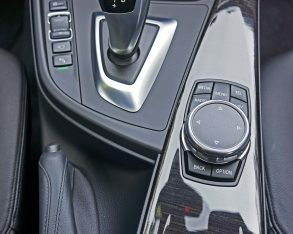 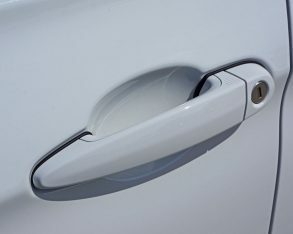 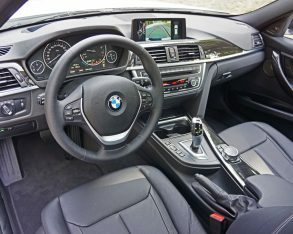 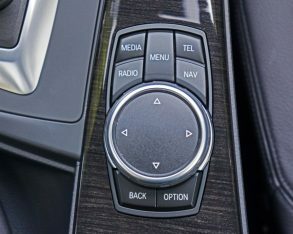 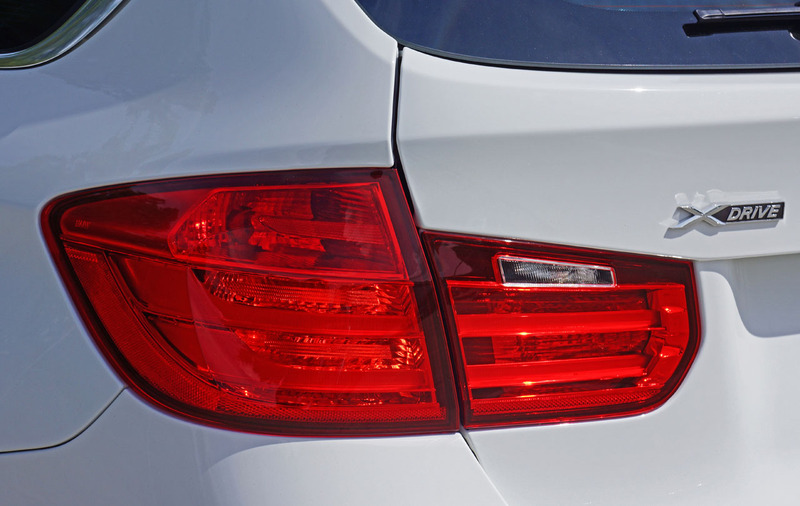 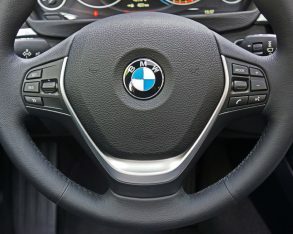 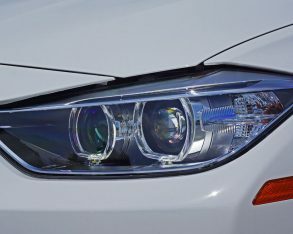 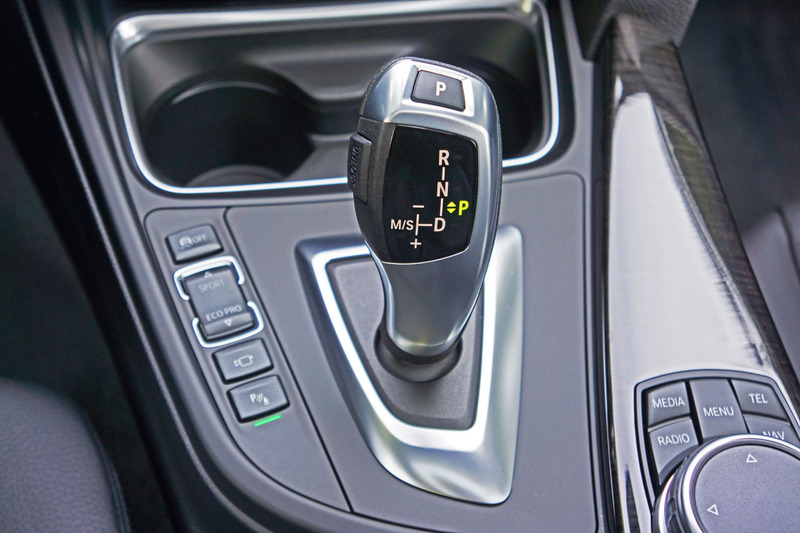 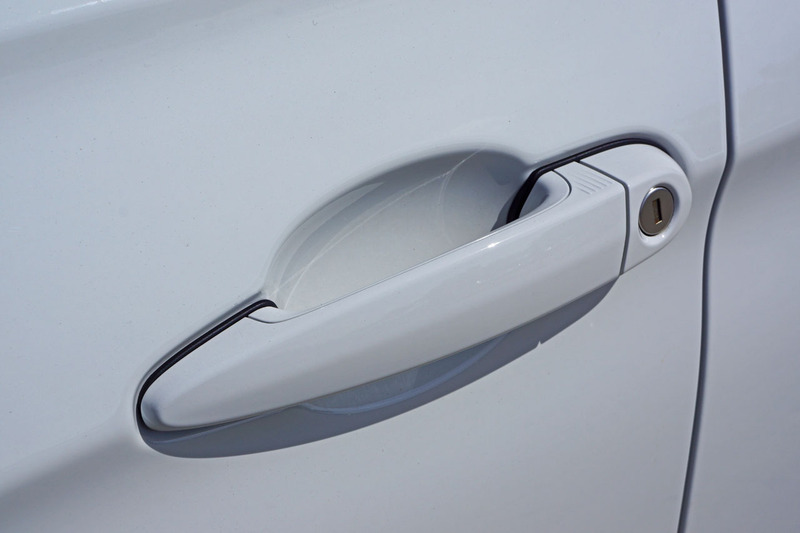 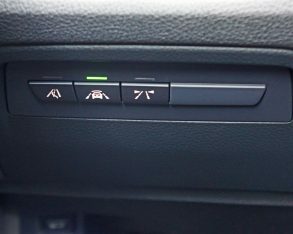 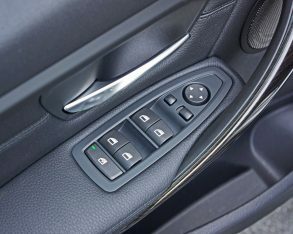 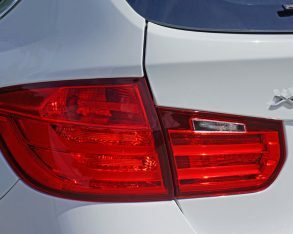 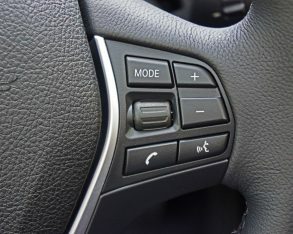 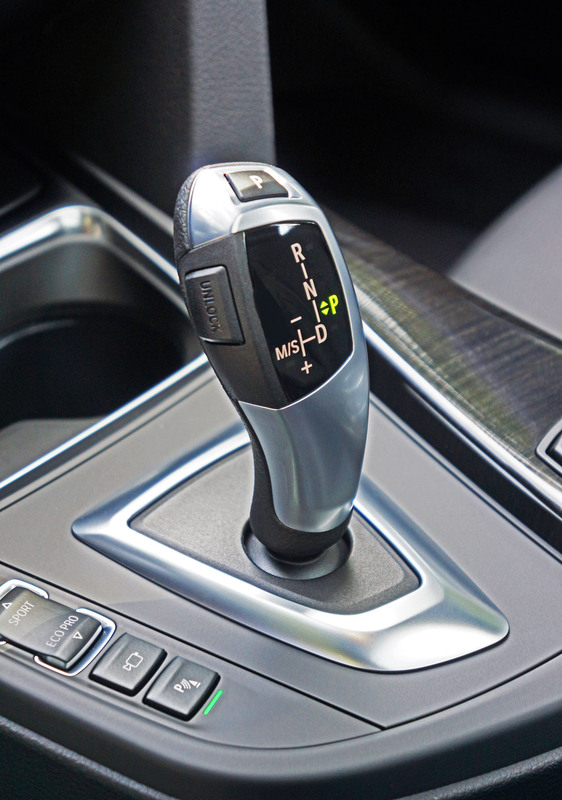 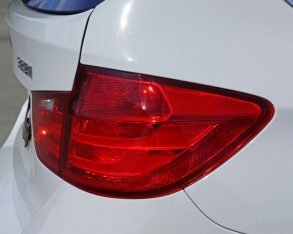 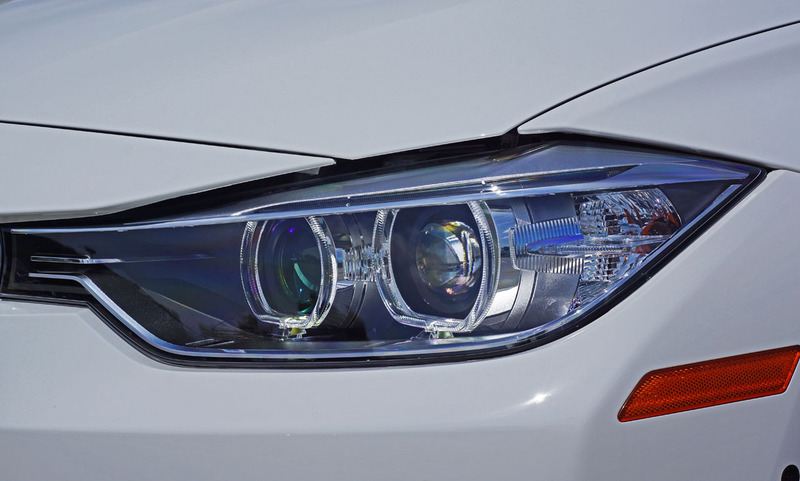 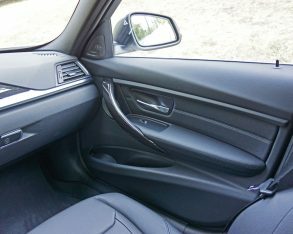 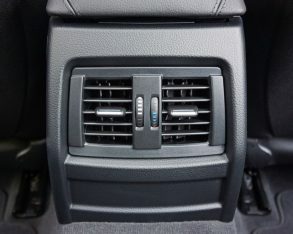 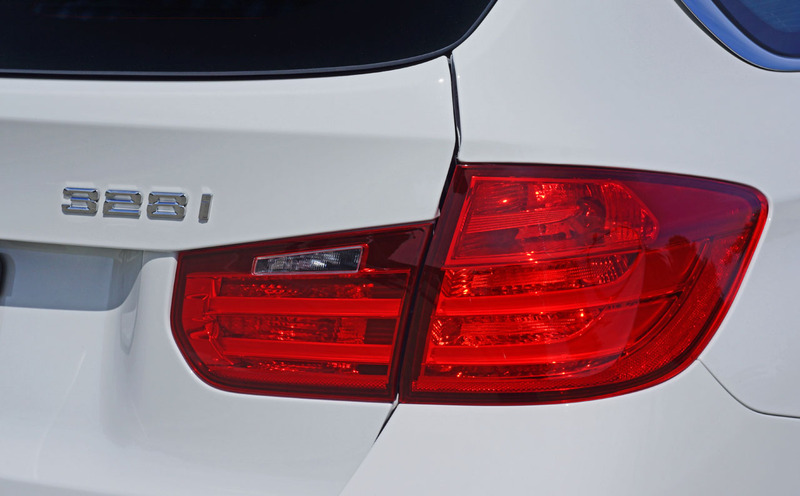 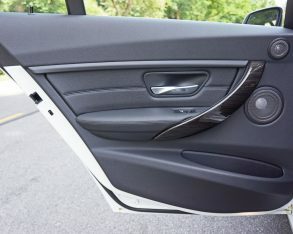 Why some of its premium competitors feel they can get away with switchgear and plastics quality that would make the folks at Hyundai and Kia cringe is anyone’s guess, but fortunately for those who have leanings towards the blue and white roundel, BMW isn’t simply riding on the merit of its good name. 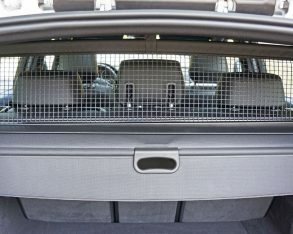 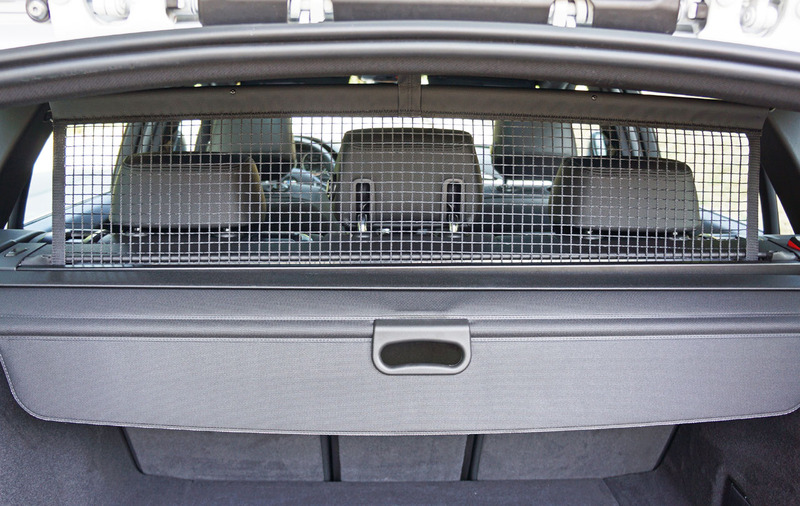 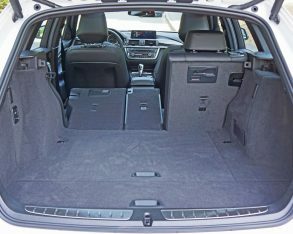 the backside behind the rear seats, my tester featuring a useful dog/what-have-you safety net above that, that when easily removed and 40/20/40 split-folding rear seatbacks laid flat result in the fully occupied wagon’s 496 litres (17.5 cubic feet) of maximum luggage capacity expanded to 1,500 litres (53.0 cubic feet), figures only bested by the 3 Series GT’s unfathomably accommodating 518 litres (18.3 cubic feet) of gear-toting space behind the rear seats and 1,600 litres (56.5 cubic feet) when fully maximized. 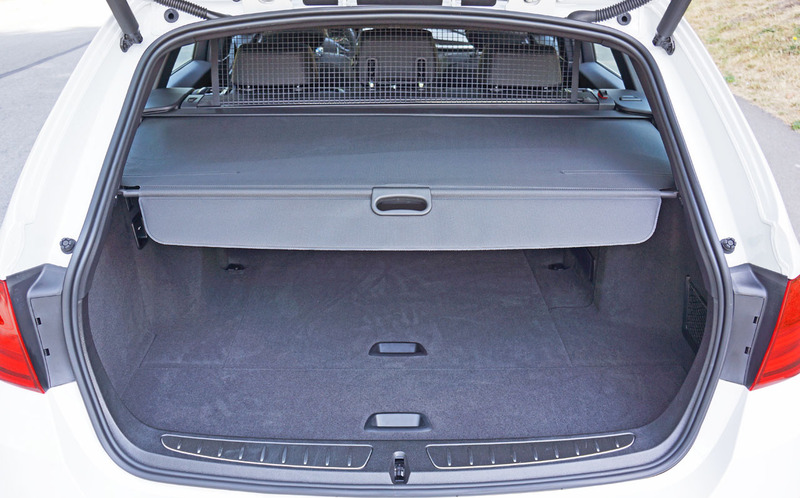 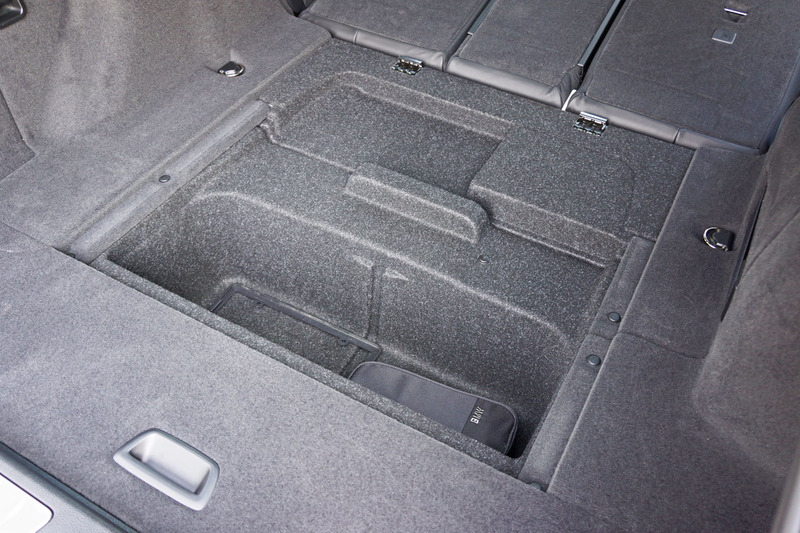 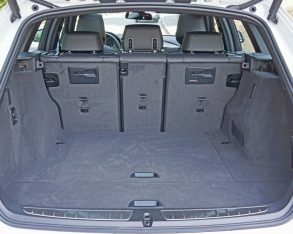 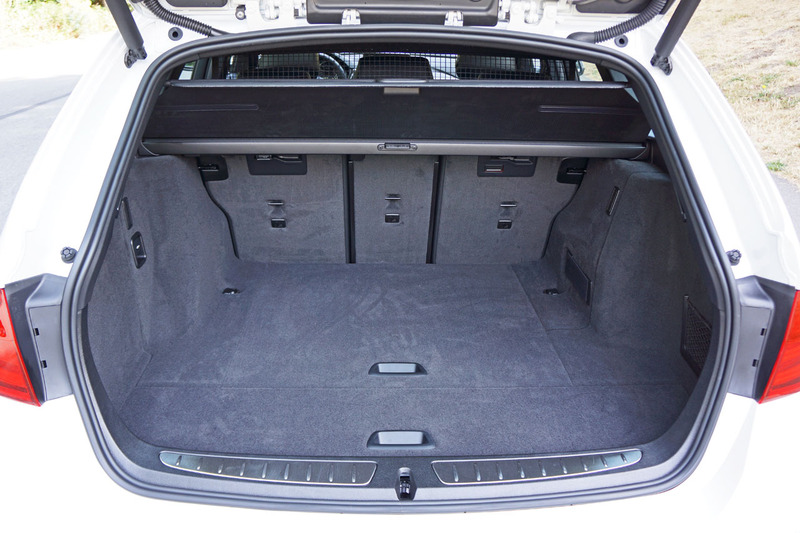 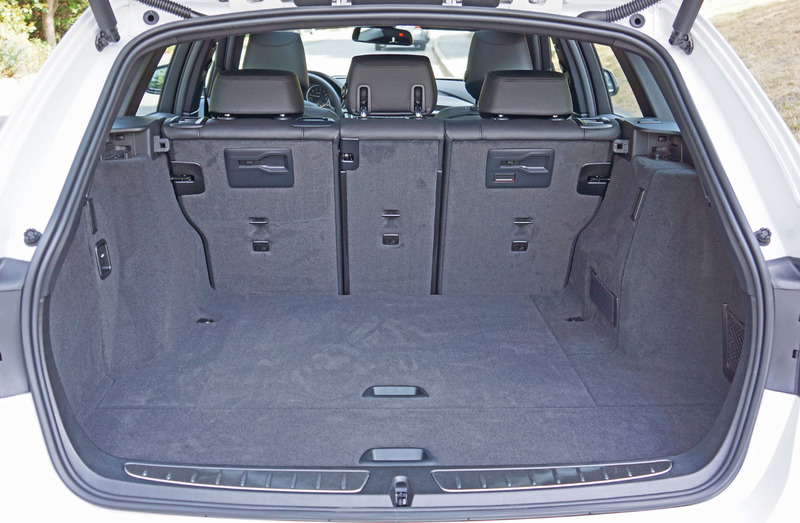 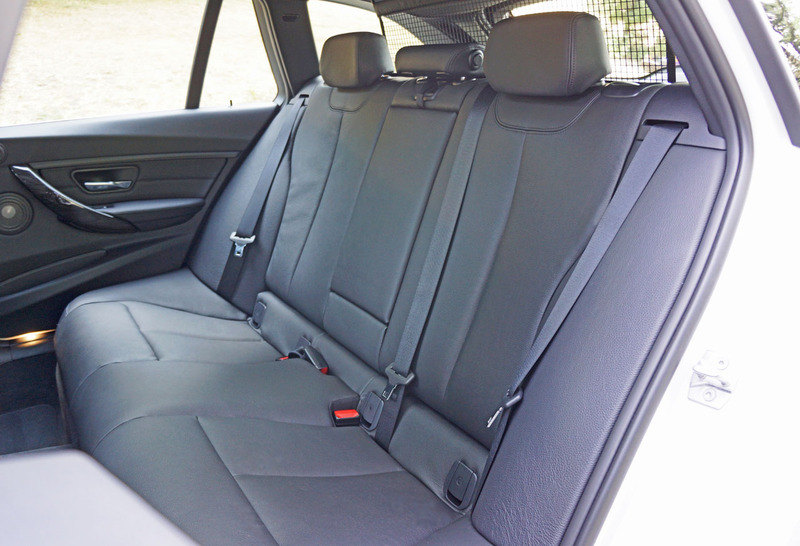 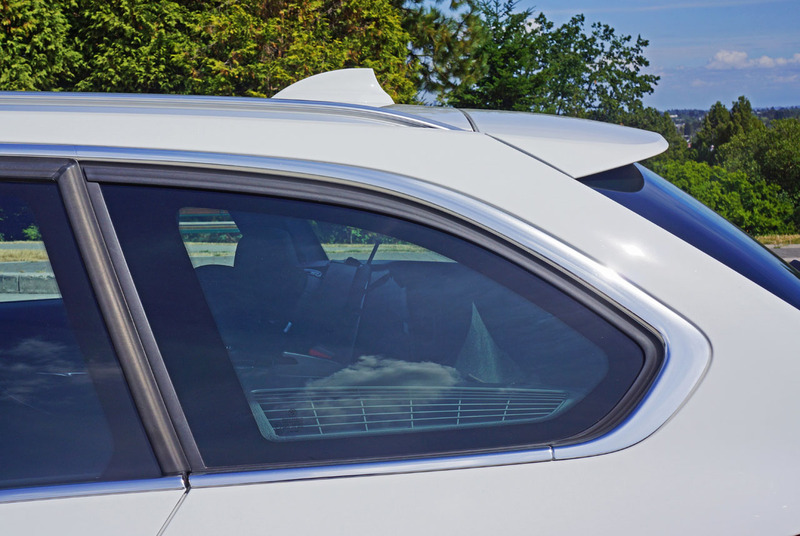 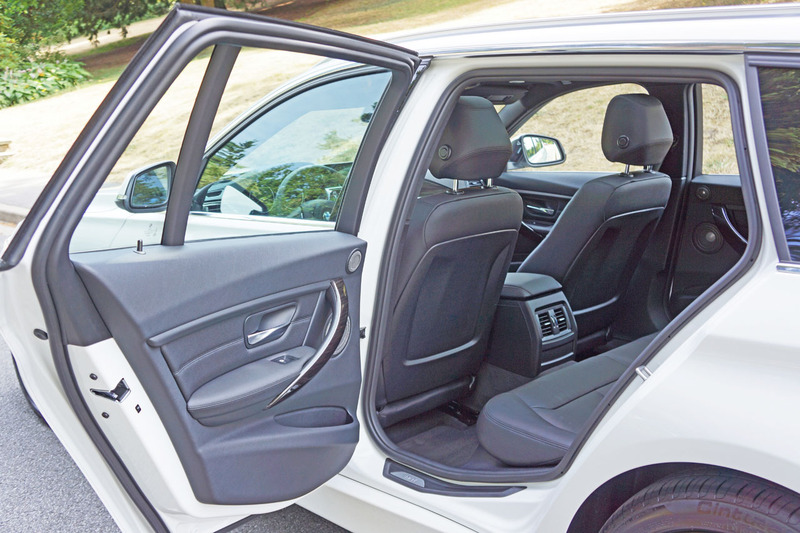 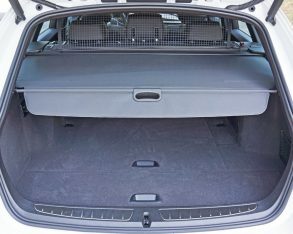 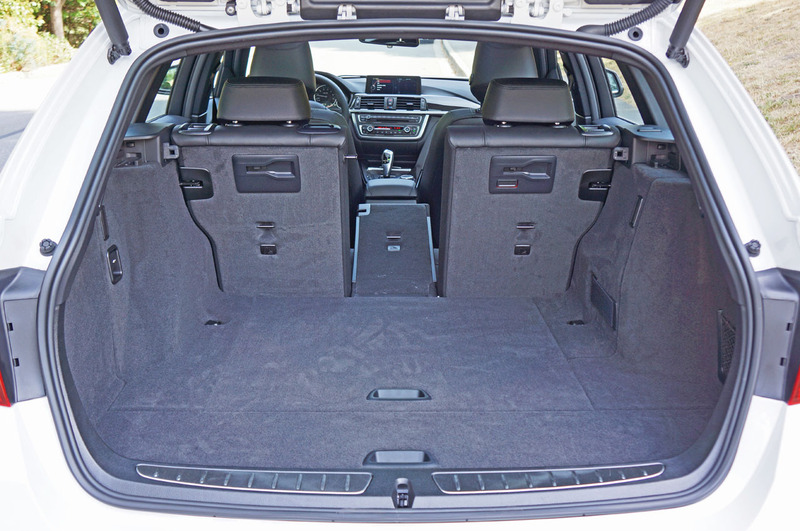 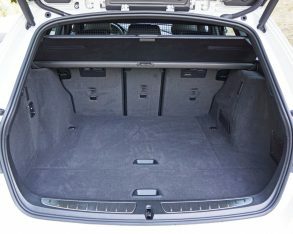 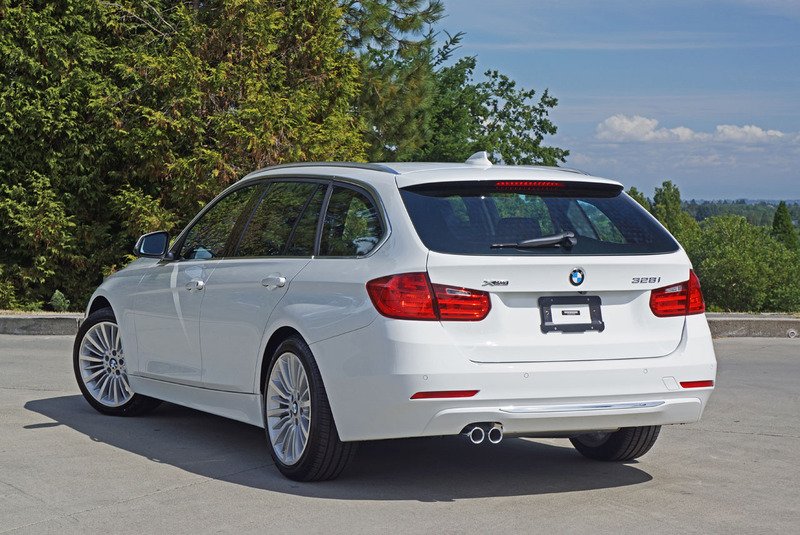 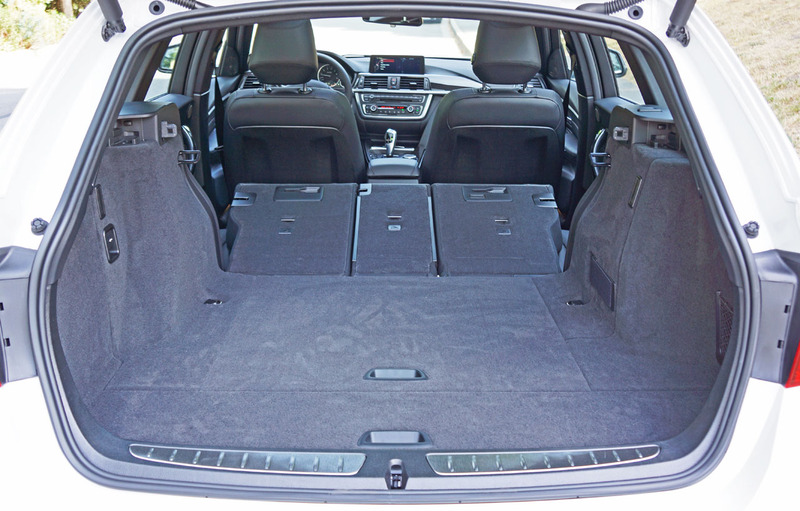 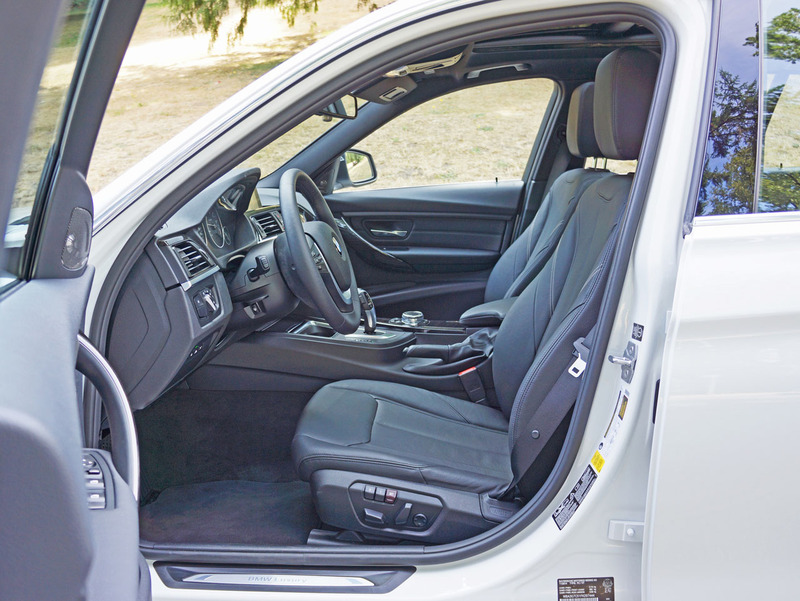 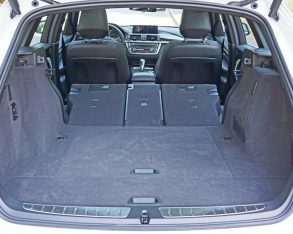 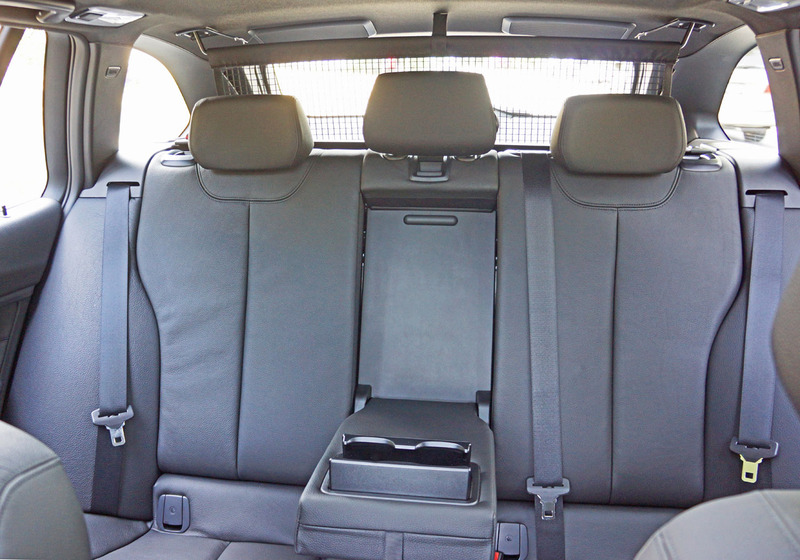 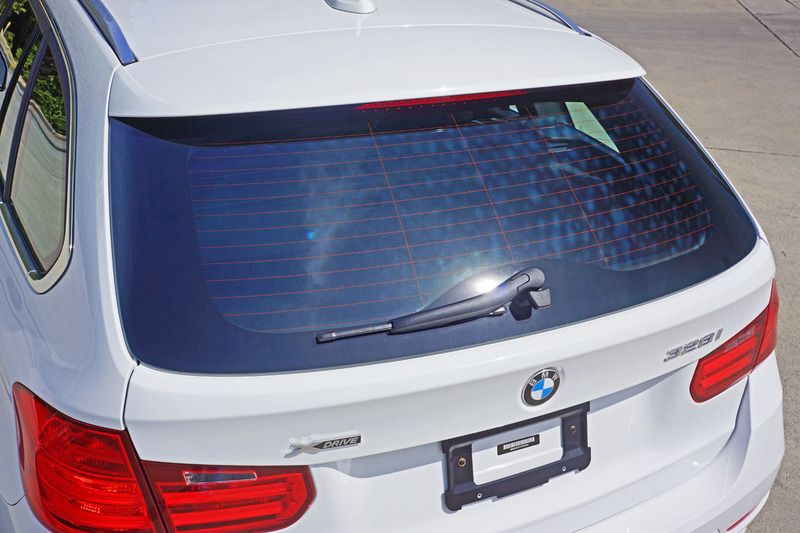 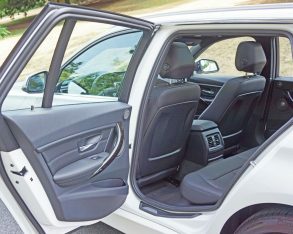 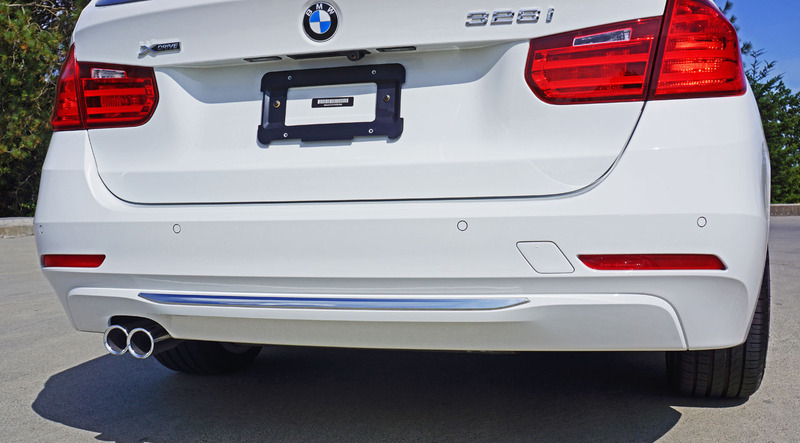 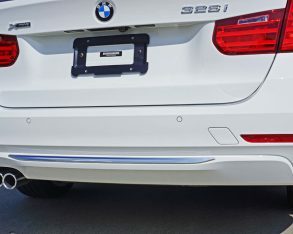 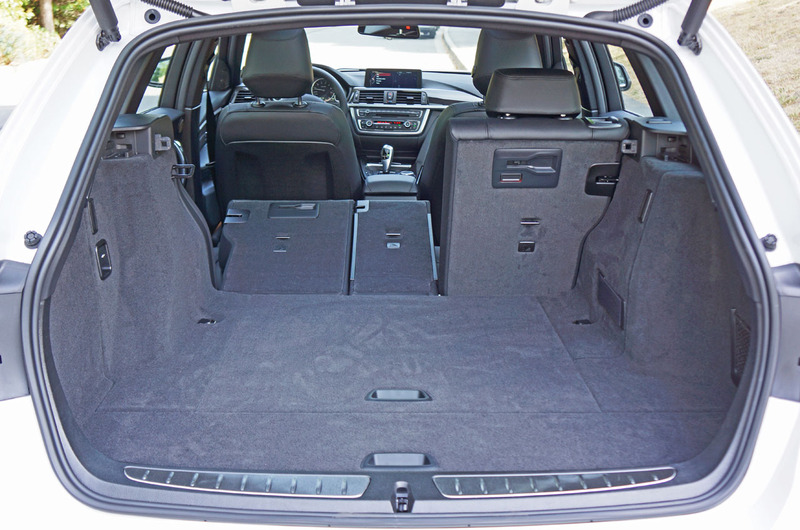 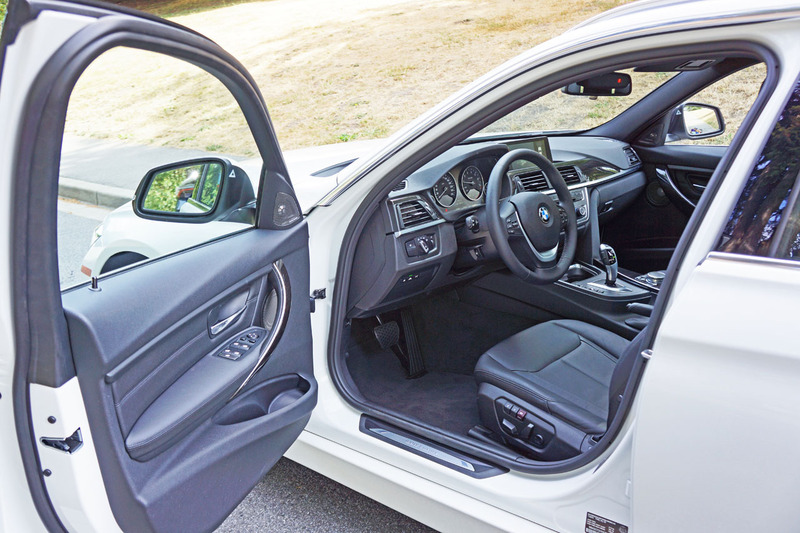 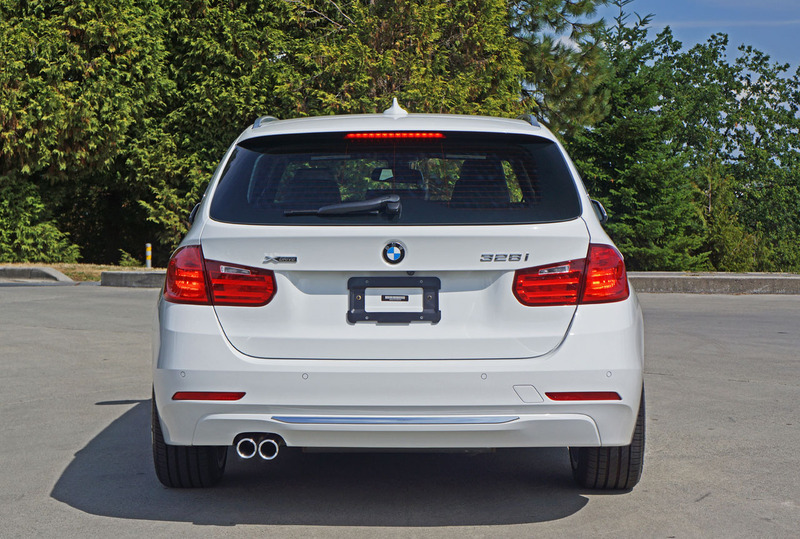 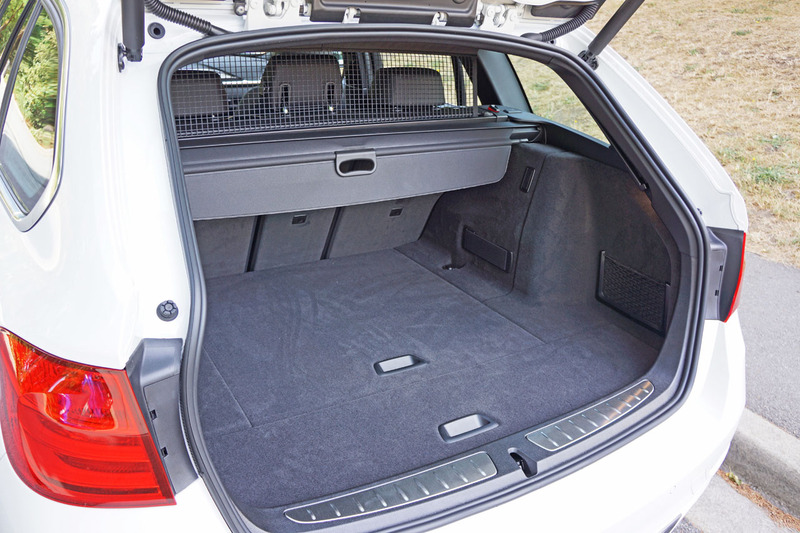 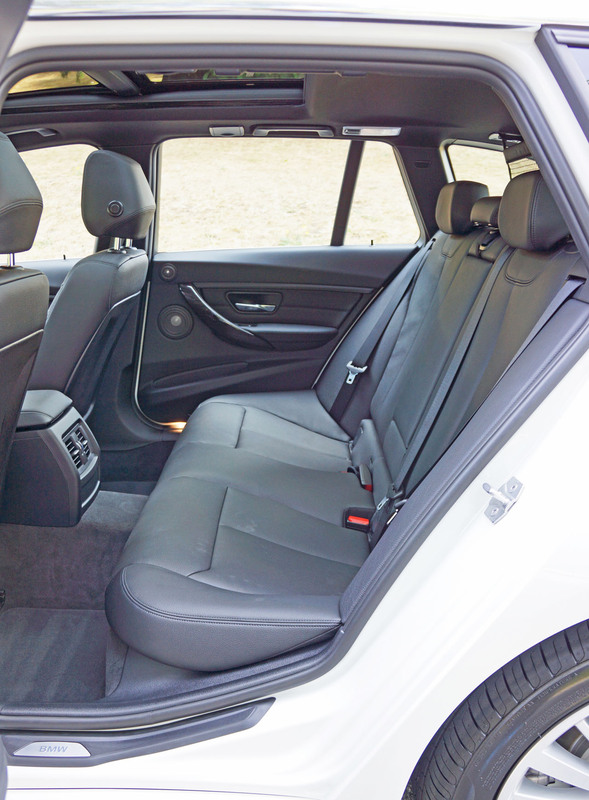 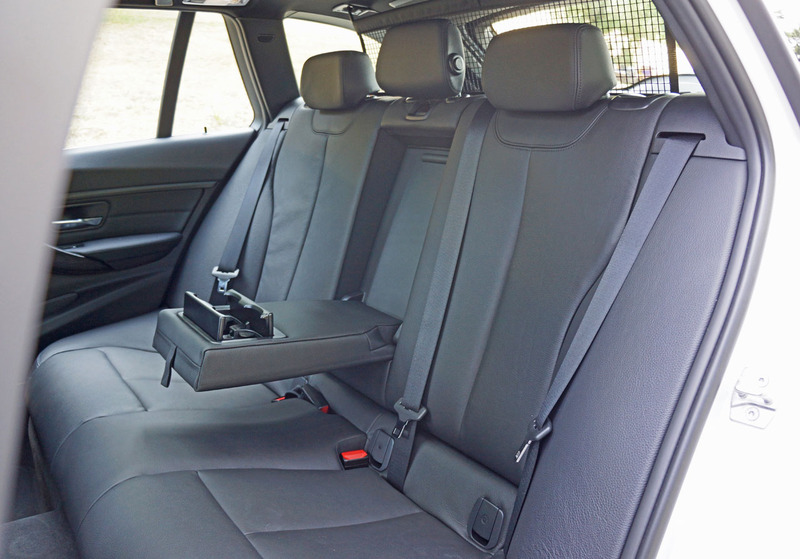 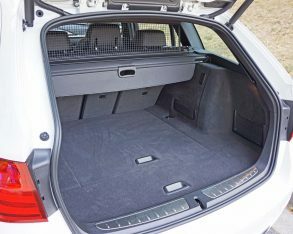 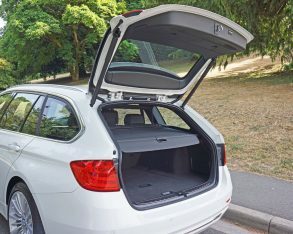 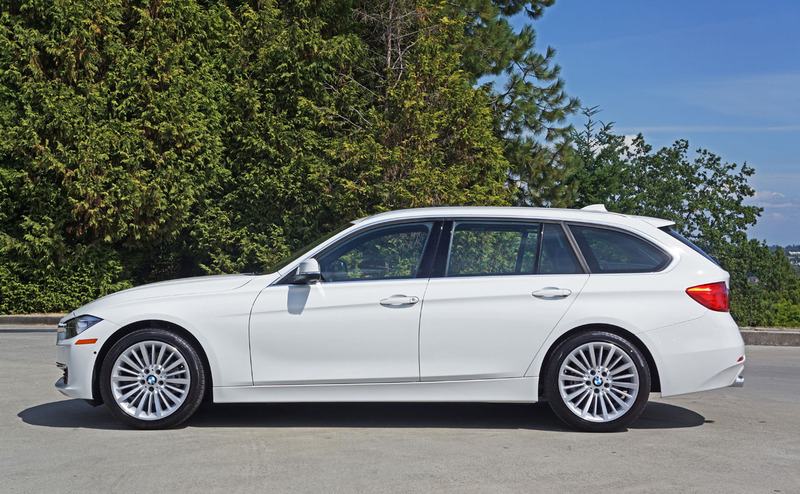 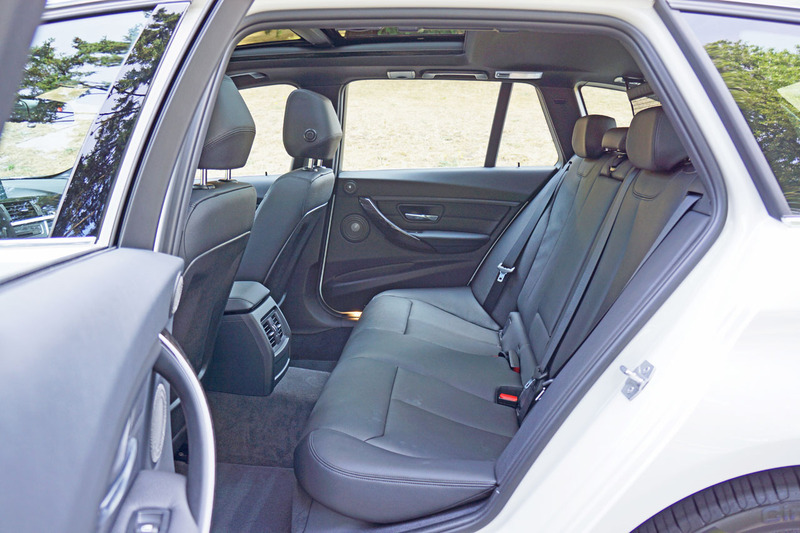 The wagon’s more upright rear quarters might make it more useful for taller items, however, so it’s not all cut and dry like the numbers suggest, but either way both BMW models are voluminous D-segment haulers. 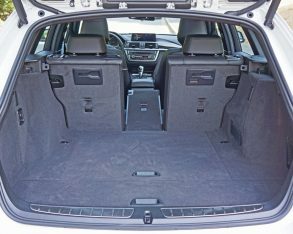 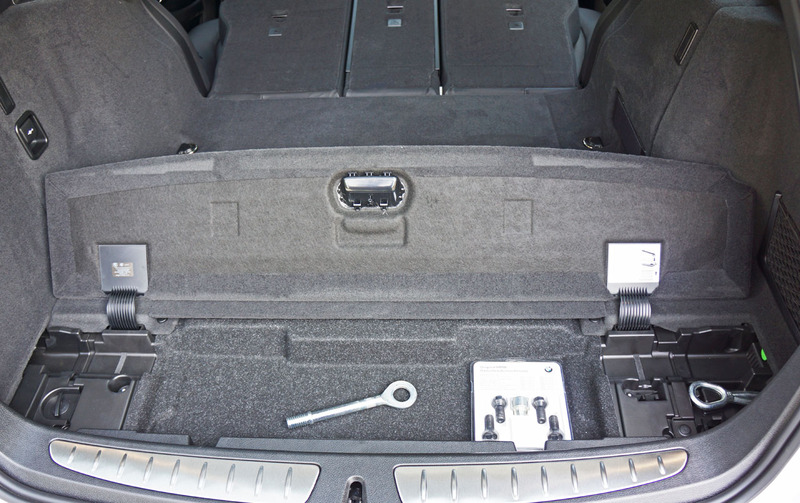 capable of hiding away camera gear or laptops that otherwise might be too tempting for lowlife B&Eers to pass by, and the one closest to the liftgate made wider yet shallower, while already partially filled with tire changing tools, etc. 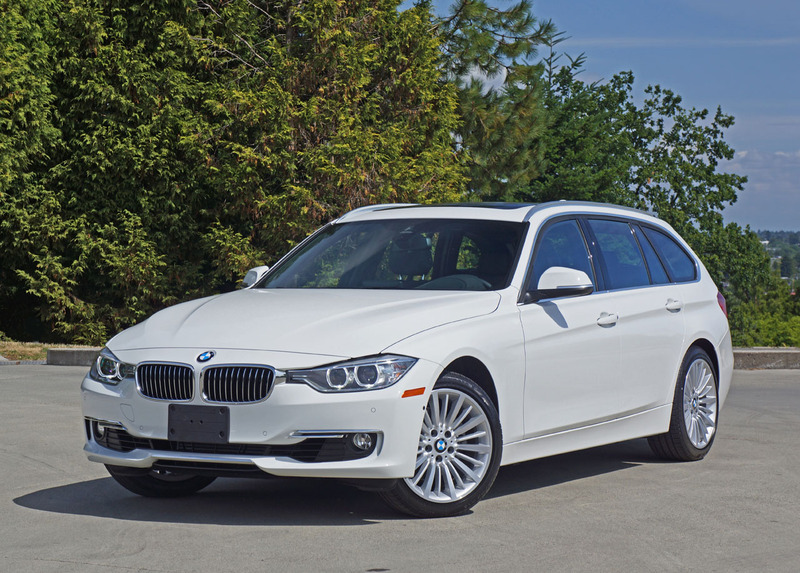 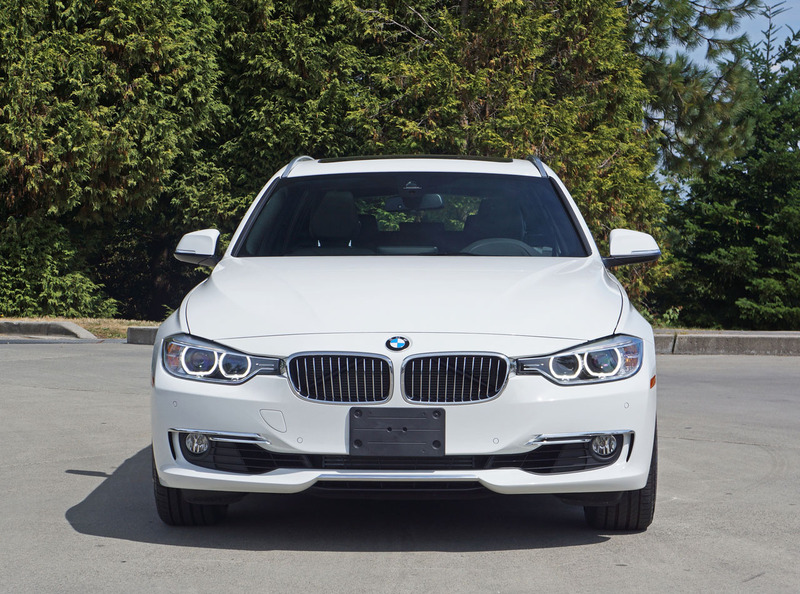 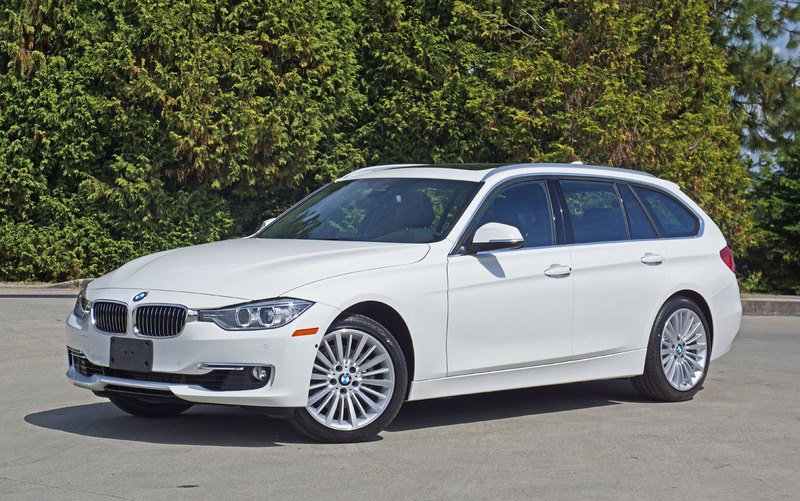 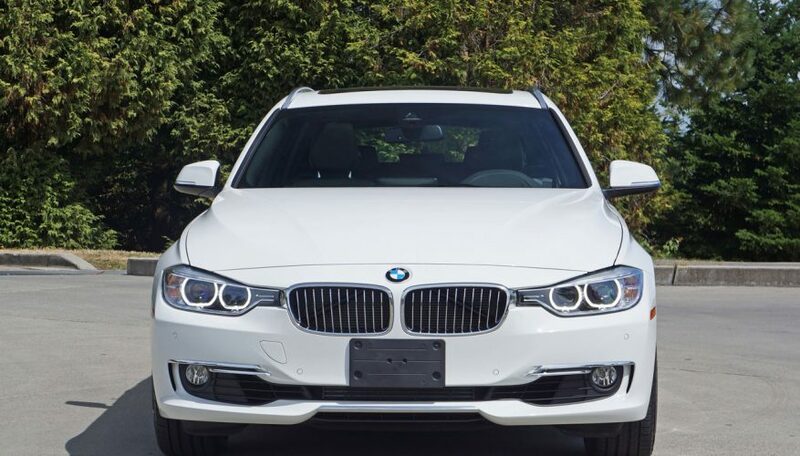 opportunity to suit up your 3 Series Touring in an exterior and interior treatment that’s near exclusive to you is available and affordable. 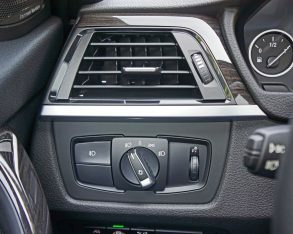 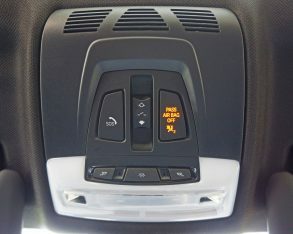 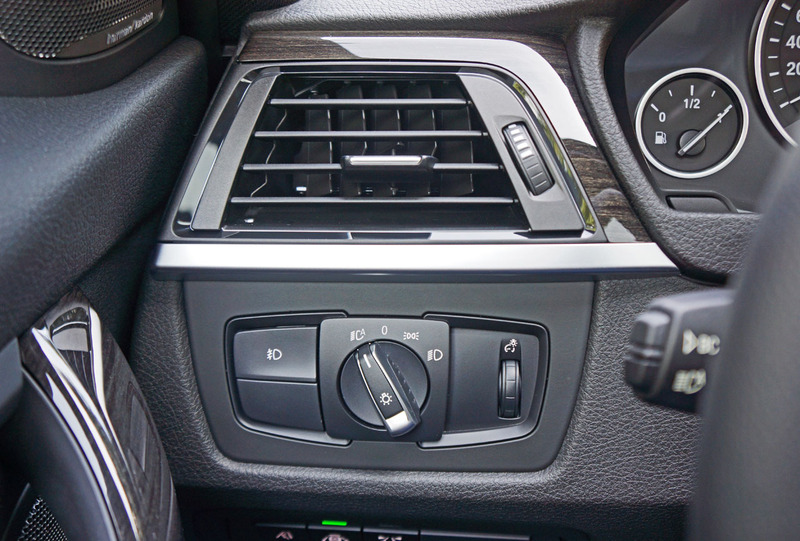 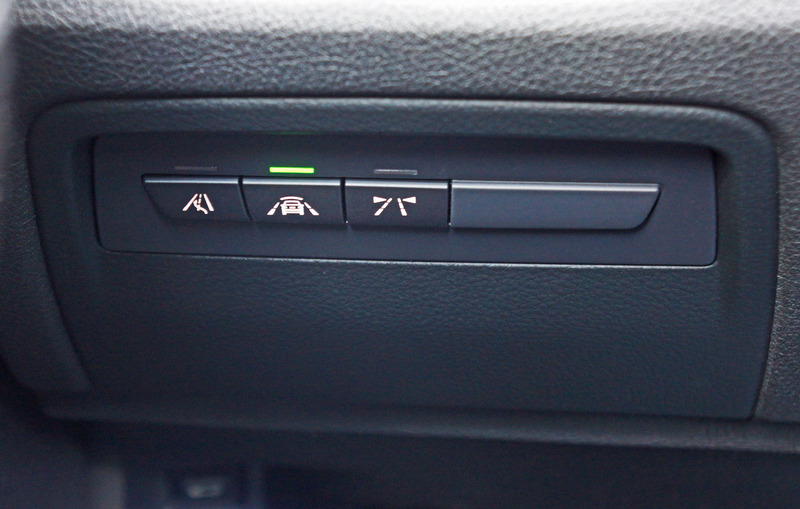 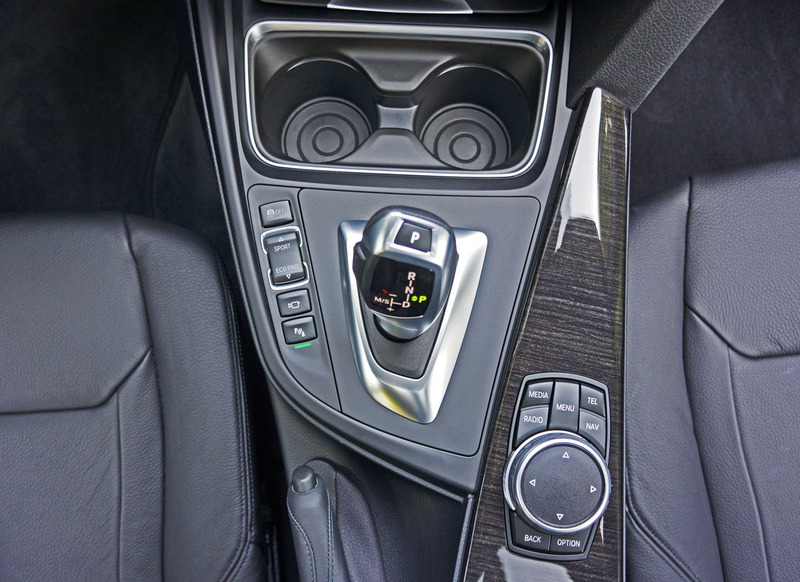 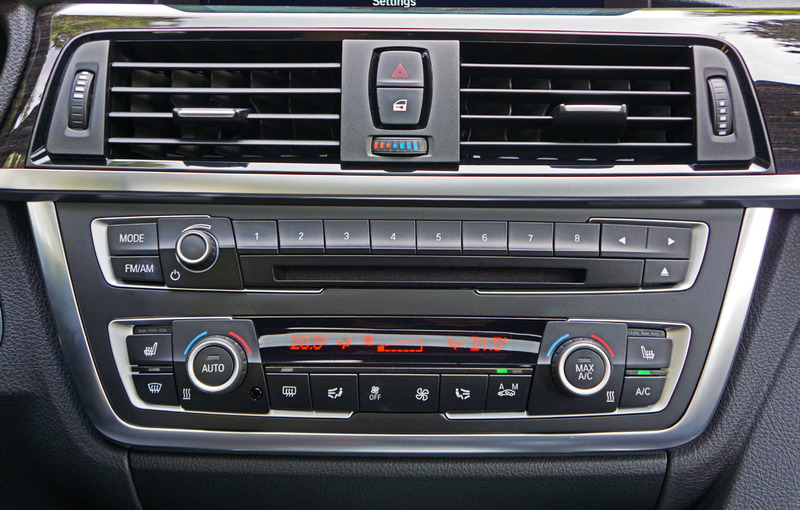 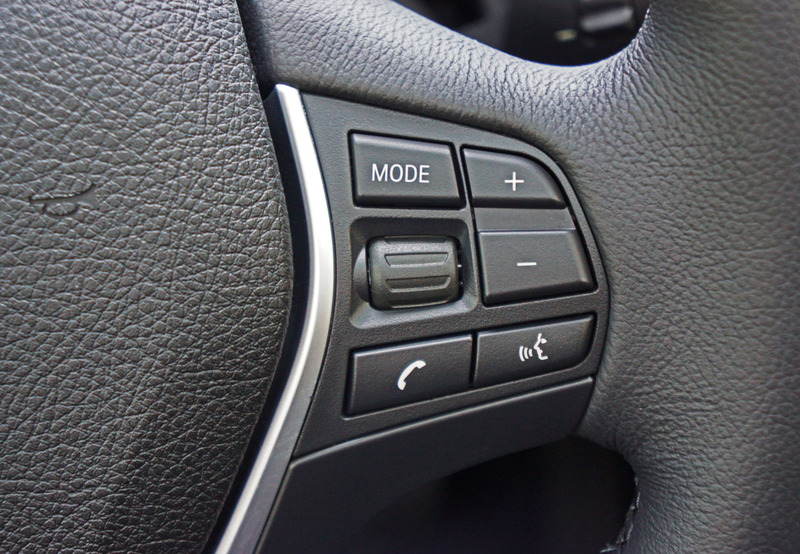 that uses residual engine heat to warm the cabin after the engine is shut off, dynamic cruise control, a multi-information display set within the extended primary gauge package, a large high-resolution full-colour infotainment screen sitting atop the centre stack complete with navigation and other handy features, not excluding a hi-fi audio system, USB and Bluetooth hands-free phone and streaming audio connectivity, BMW assist telematics, ConnectedDrive that lets you link to the 3’s internal systems via your smartphone, and more. 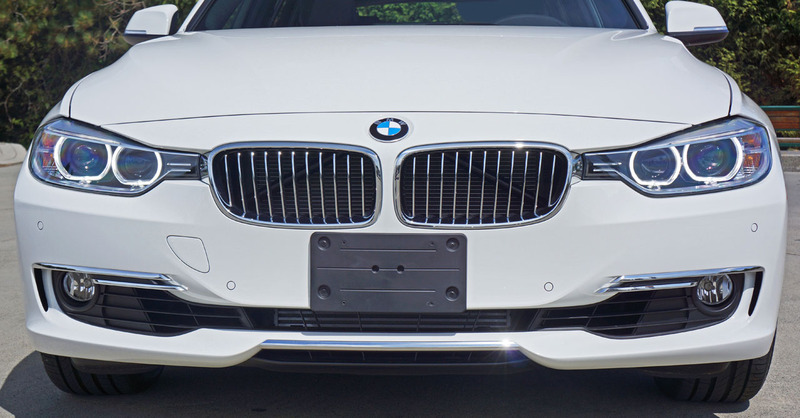 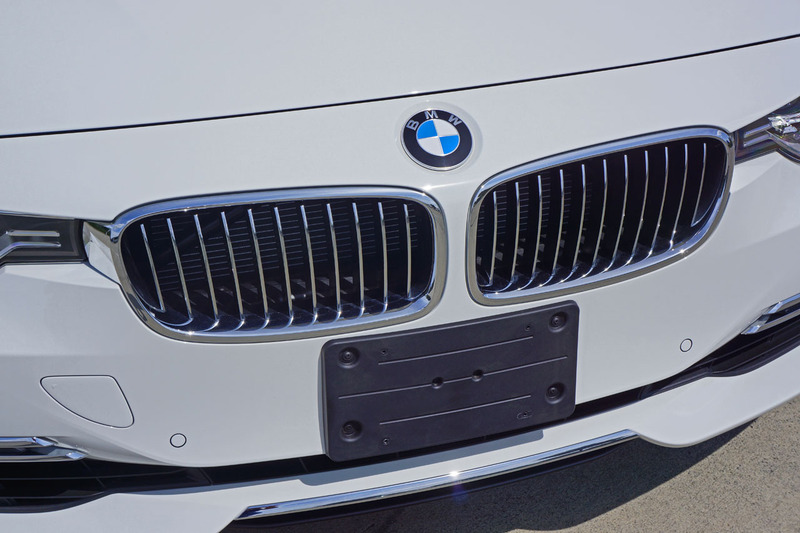 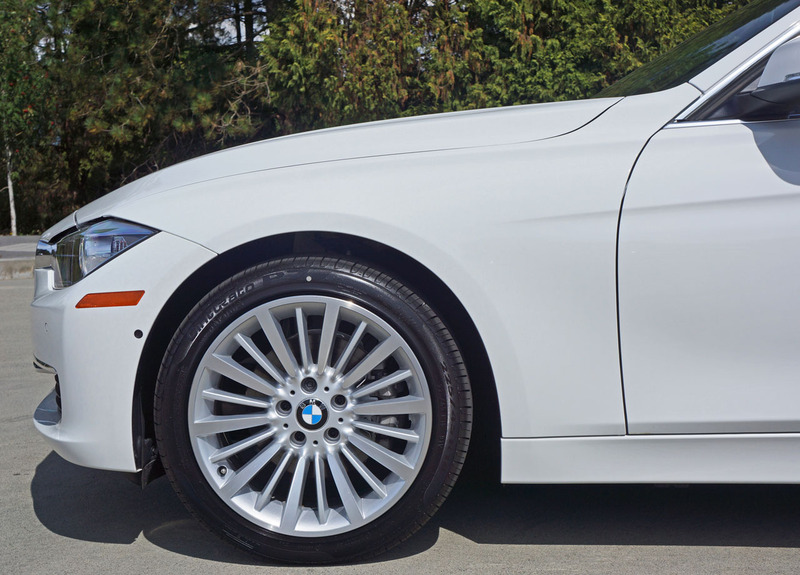 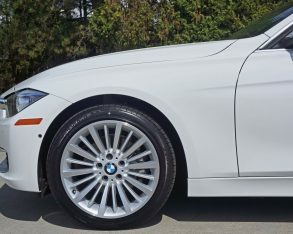 Two standard colours include my tester’s Alpine White and Jet Black, whereas any one of the eight optional metallics adds $895 to the tally or alternatively choosing one of five BMW Individual colours gets pricier at $1,450. 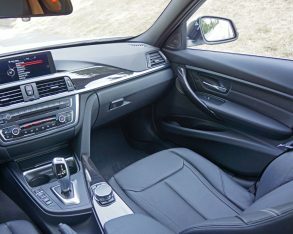 tester included the $2,200 Premium package that adds proximity-sensing Comfort Access, auto-dimming side mirrors, a rearview camera with guidelines (yes, extremely odd that a nav system is standard, but you’re forced to pay extra for such an important potentially life-saving safety feature), an alarm system (ditto), a heated steering wheel, front and rear parking sonar, and satellite radio with a one-year subscription. 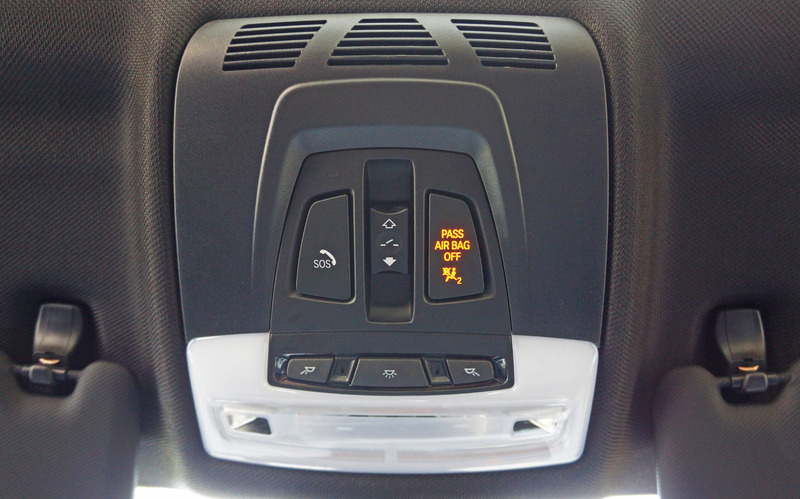 detection, plus lane departure and collision warning. 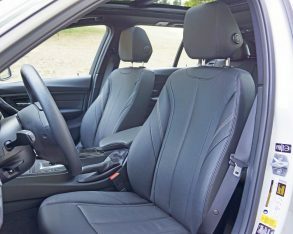 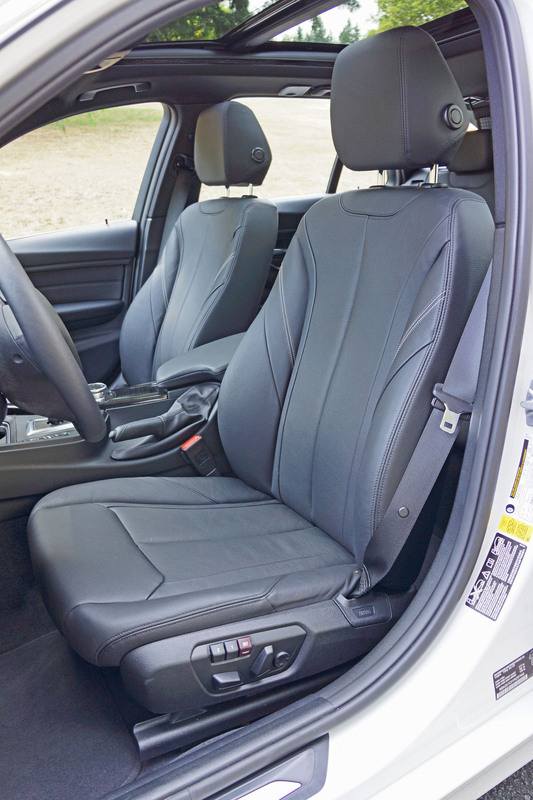 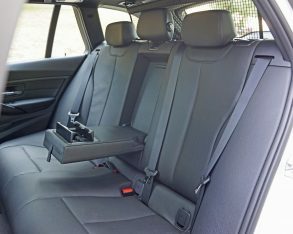 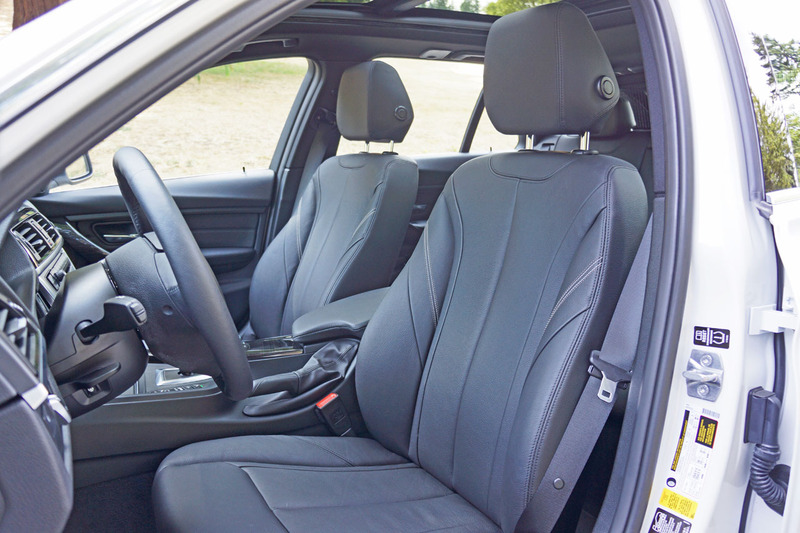 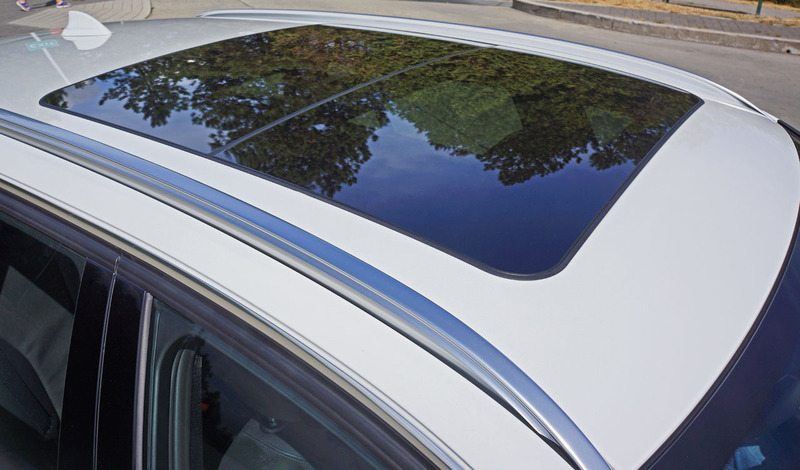 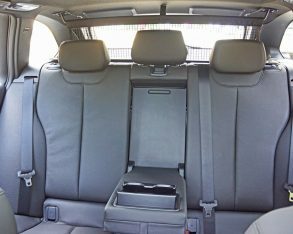 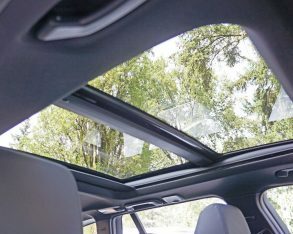 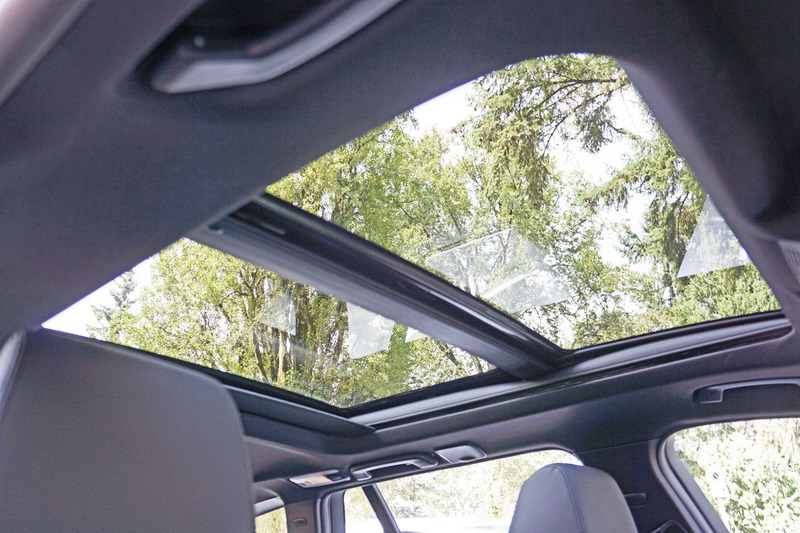 A Premium Seating package can be had for $1,250 more, which boasts sport seats up front, heatable outboard seats in back, manual rear window sunshades, and a storage compartment package. 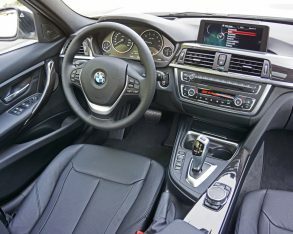 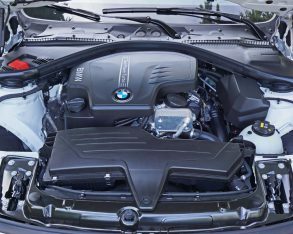 Additionally, a $1,500 Performance package includes variable sport steering, active M suspension and a paddle-shift enhanced automatic, while the $1,900 M Performance package includes all of the above except for the paddles (oddly), as well as M Sport brakes. 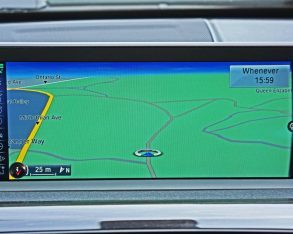 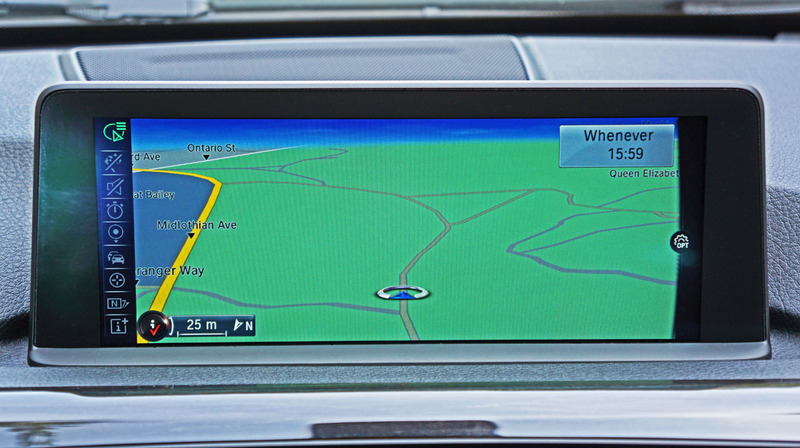 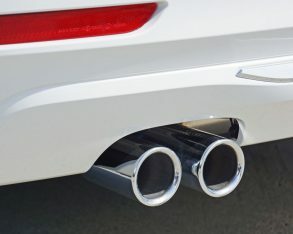 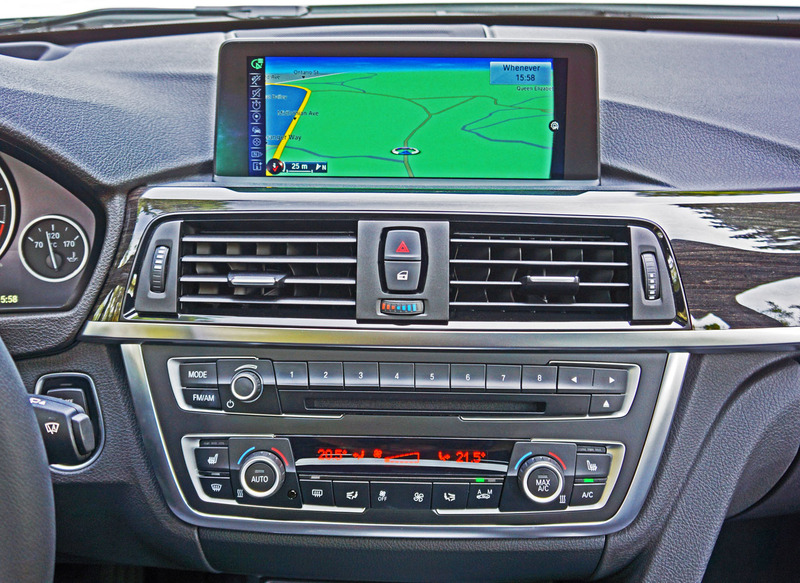 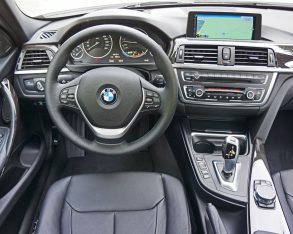 to weather, news and other info, plus integration of popular smartphone apps via iDrive; Remote Services for connecting your smartphone to your car; Concierge Services that provide a personal assistant via BMW’s Response Centre to help find POIs; and the BMW ConnectedDrive Services Package. 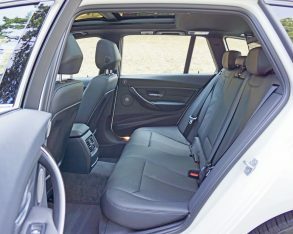 A number of these packaged options can be had as standalone upgrades, while a sweet set of 19-inch V-spoke alloys will dress up your Touring’s exterior for $1,000, and even sweeter Walknappa leather dashboard will make the cabin look downright rich for $1,250. 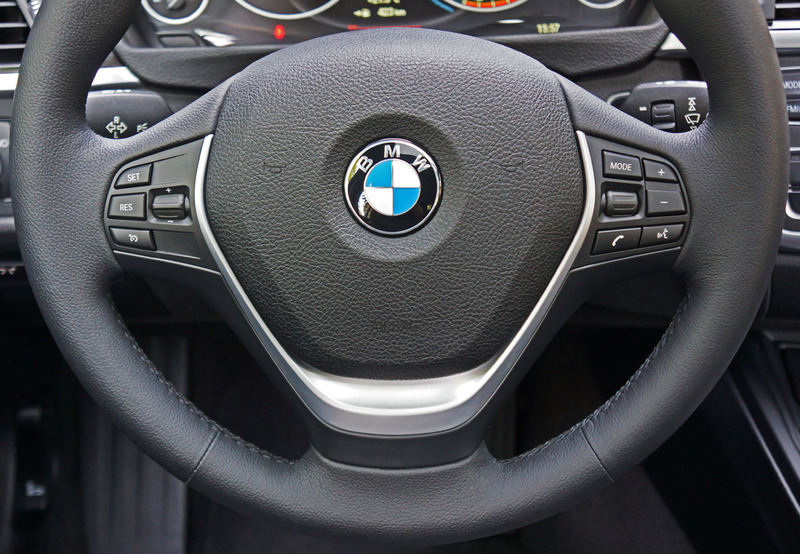 M steering wheel, while interior trims include Aluminum Hexagon, Brushed Aluminum and Fineline Anthracite; trim highlights can be upgraded to high-gloss black, chrome or Estoril Blue Matte (a personal favourite that requires Sport Line exclusive Estoril Blue exterior paint); not to mention four hues of Dakota leather covering unique sport seats, while the exterior gets 19-inch M Star twin-spoked or 19-inch M Double Spoke alloys plus plenty of M aero upgrades, the latter of which include a completely redesigned lower front fascia. 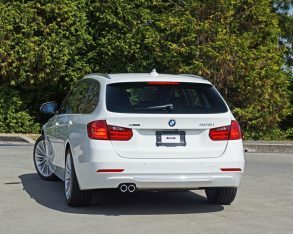 and buy a stock 328i or 328d Touring after madly cheering for the oddball creation. 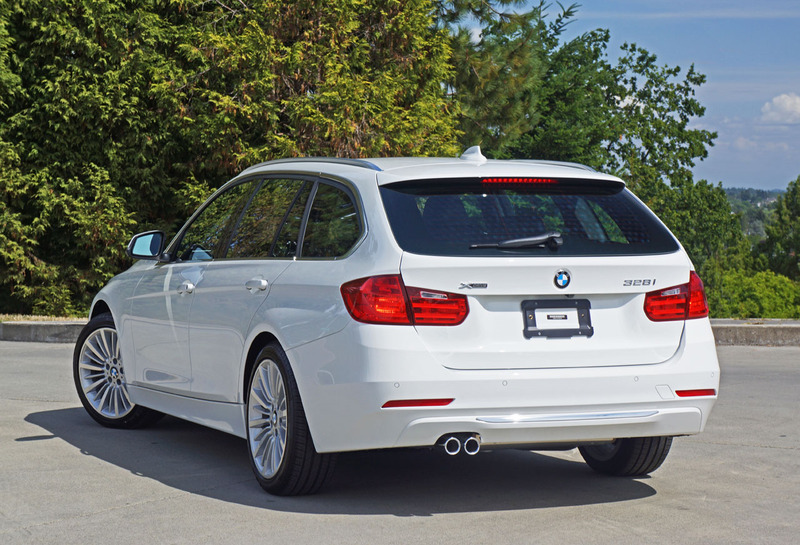 We’re just too practical to step up to a supercar slaying wagon, at least en masse. 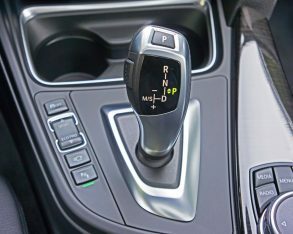 To put fantasy and reality into perspective, the North American numbers are so small that neither Canadian nor US markets make a manual gearbox available. 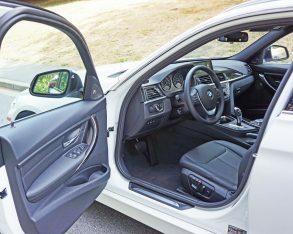 That’s just ok by me, as the 328i xDrive Touring is pretty much ideal the way it’s packaged, and a car I’d be very happy to own. 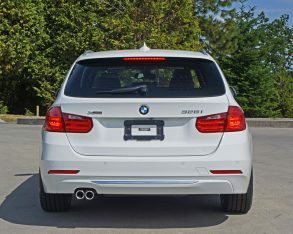 I’d personally buck up for the clean diesel, as fuel economy, cheaper pump prices and the convenience of extended range matter more than straight-line performance in my books, but it’s nice to have the option. 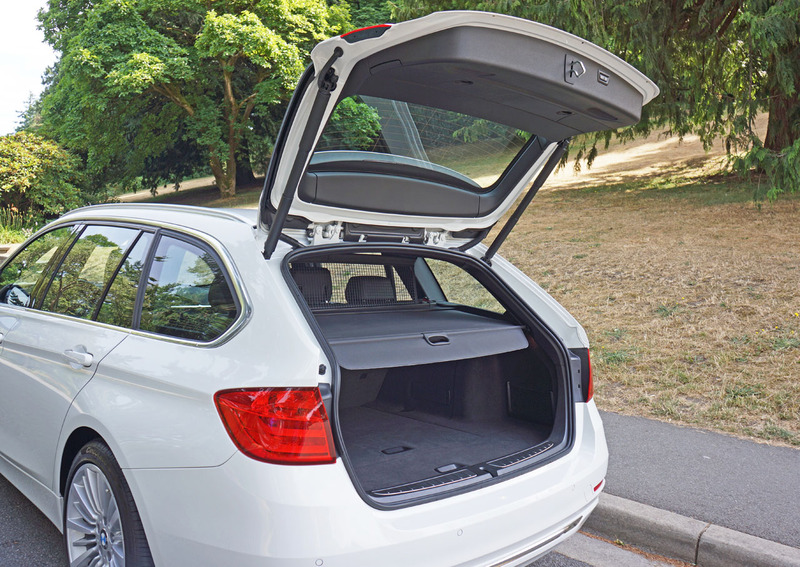 If practicality matters as much to you, you can have your cake and eat it a la mode with the 3 Series Touring. 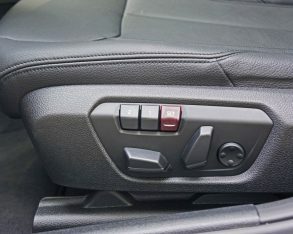 I couldn’t stick my two thumbs up any higher.